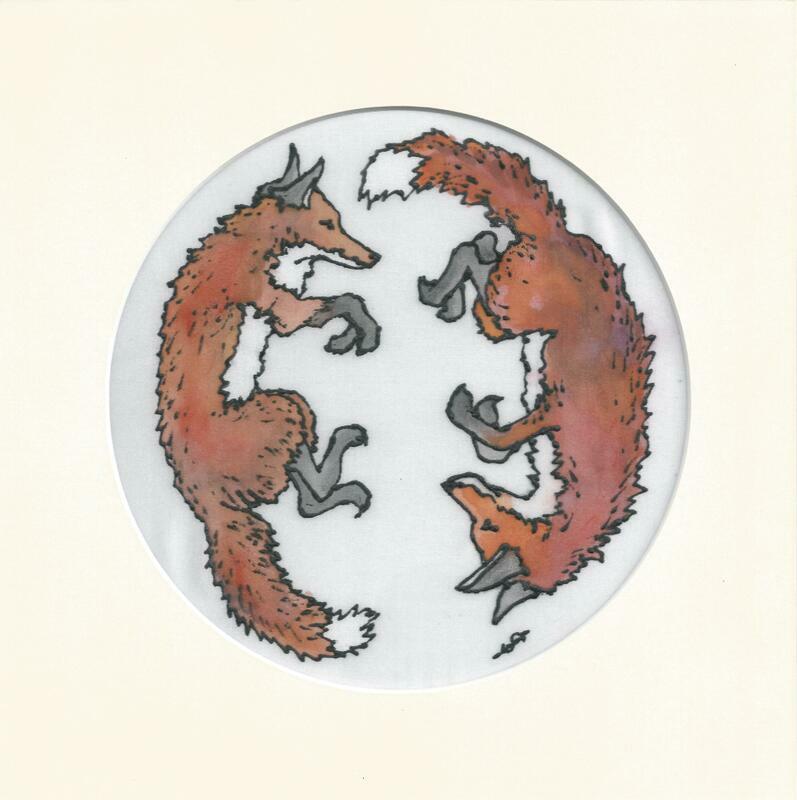 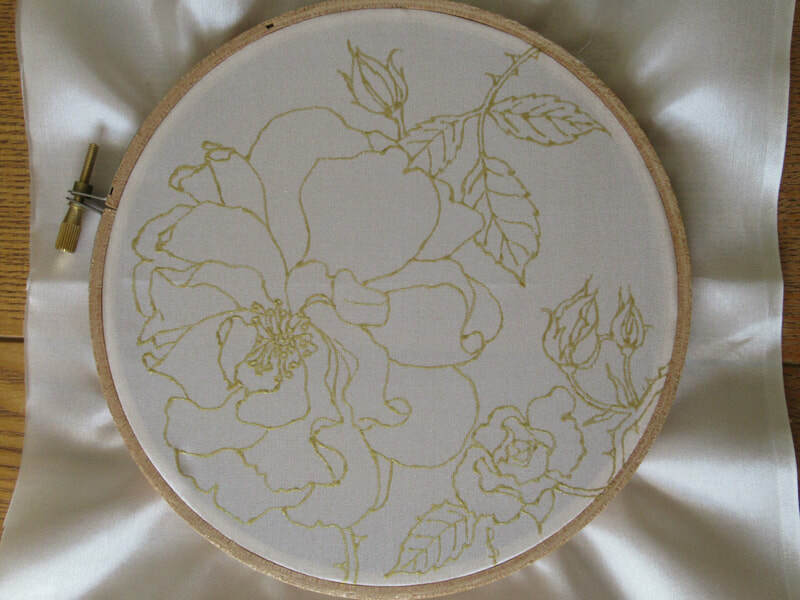 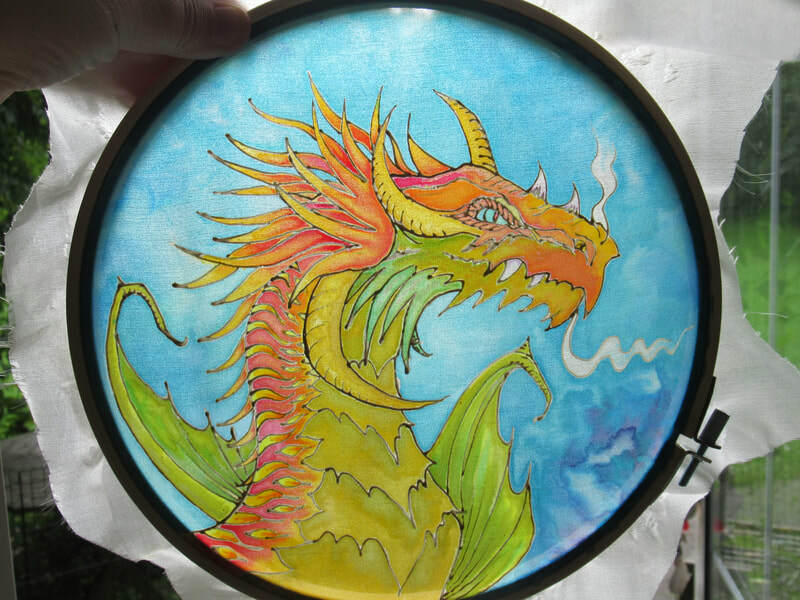 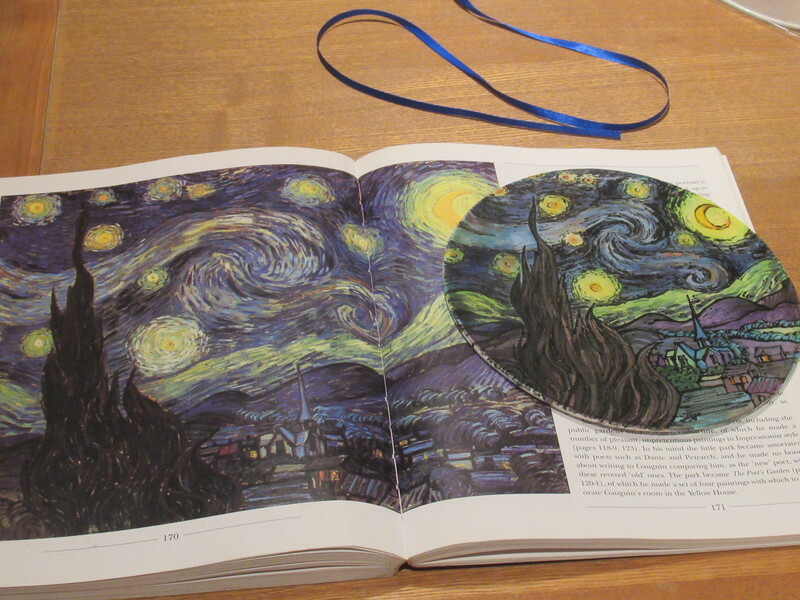 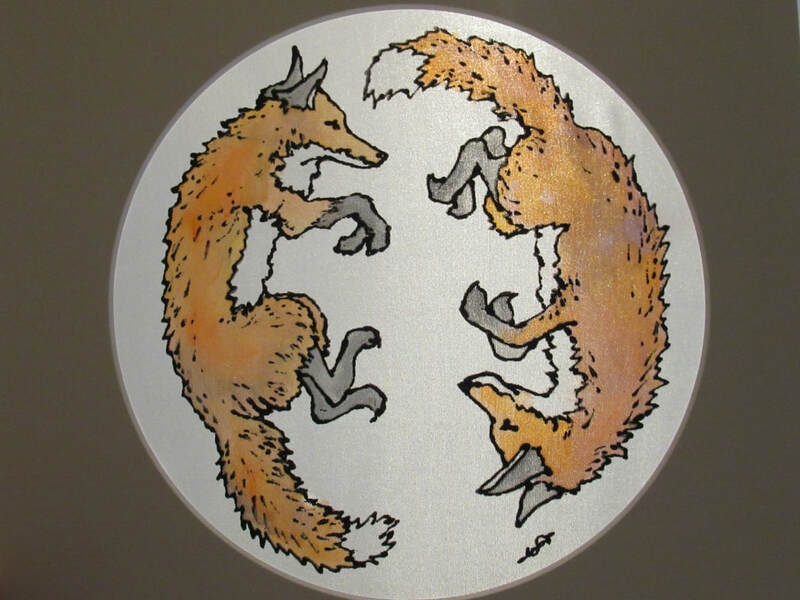 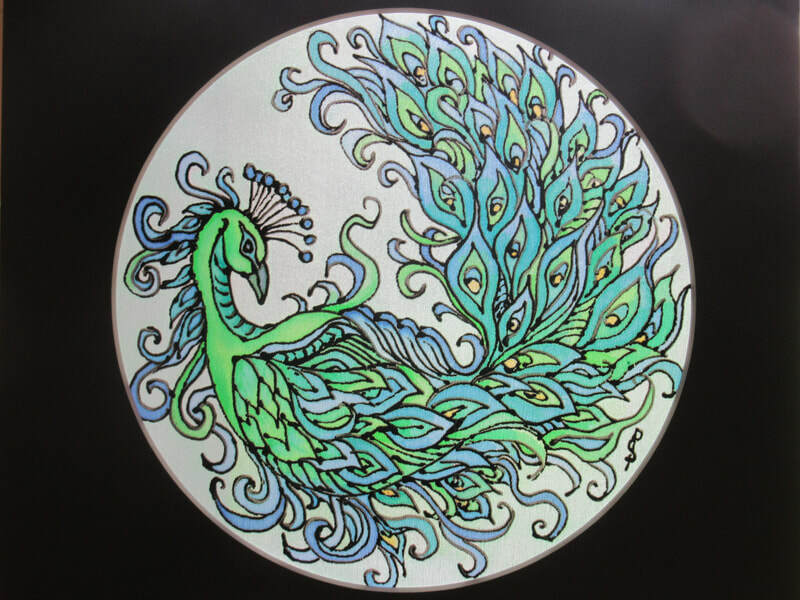 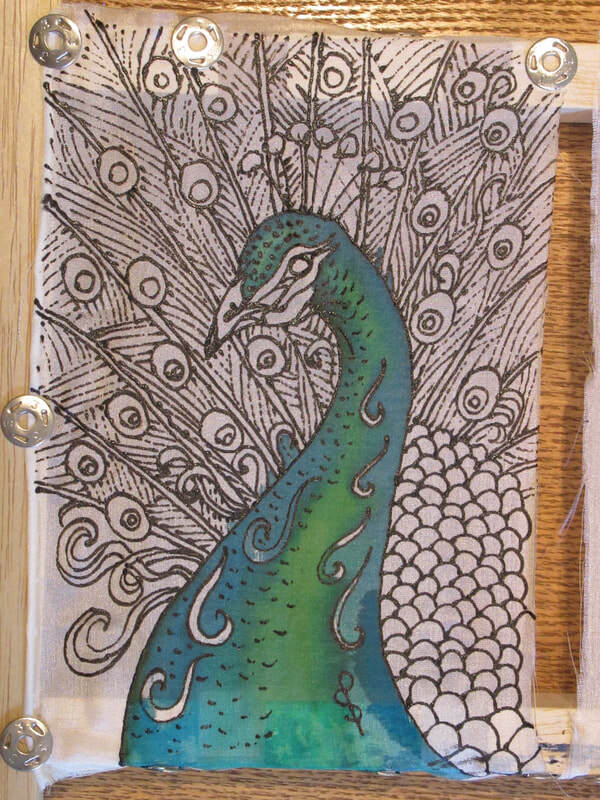 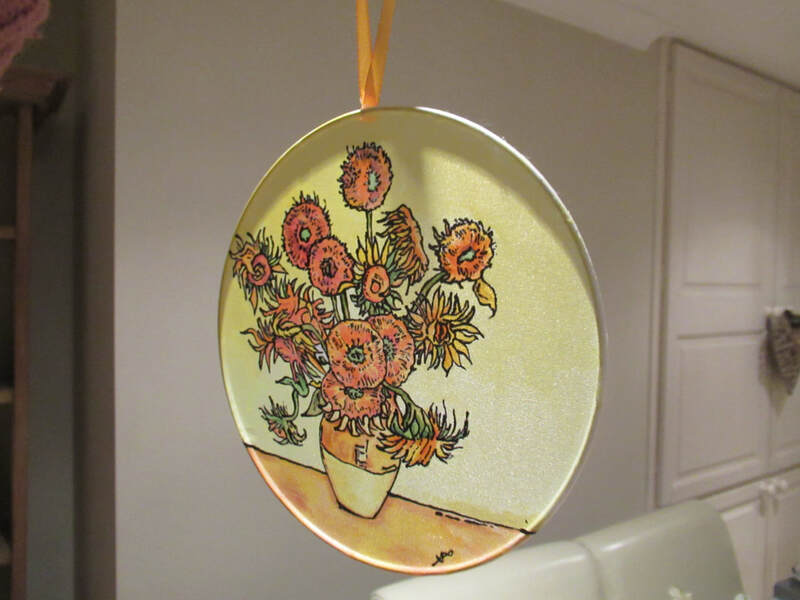 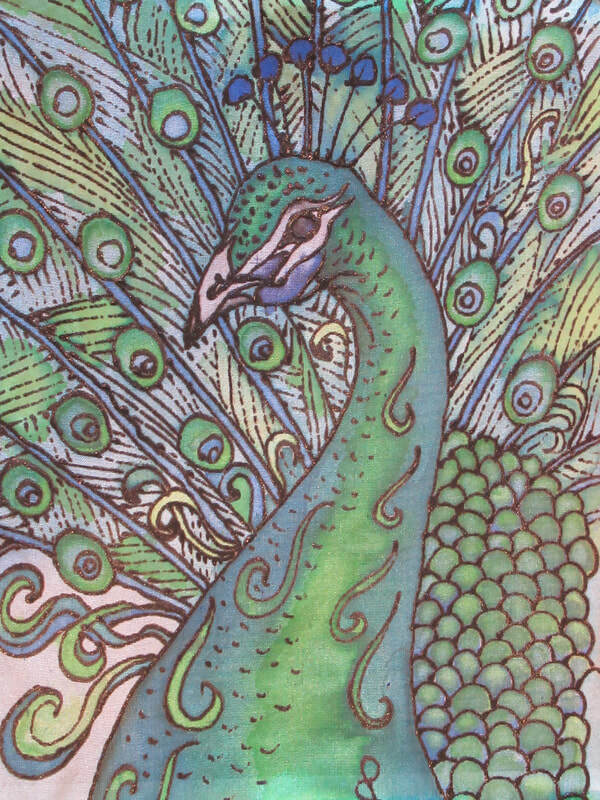 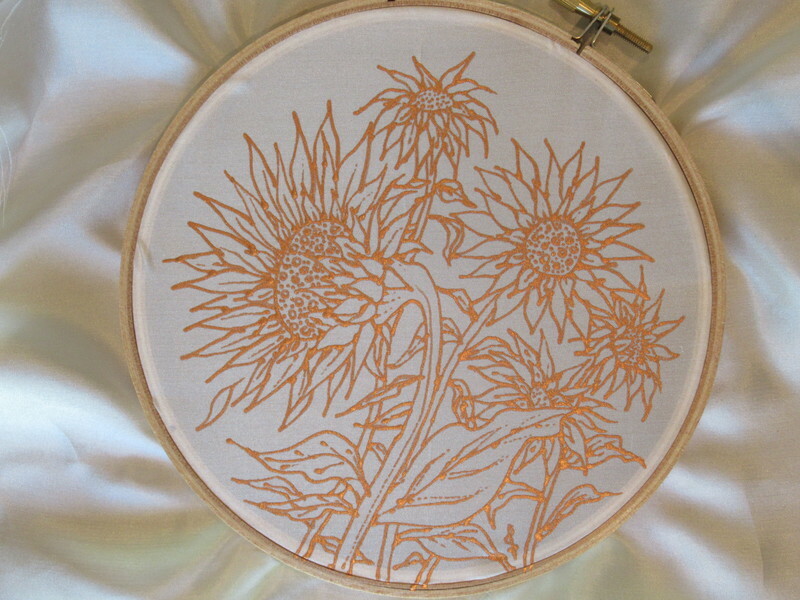 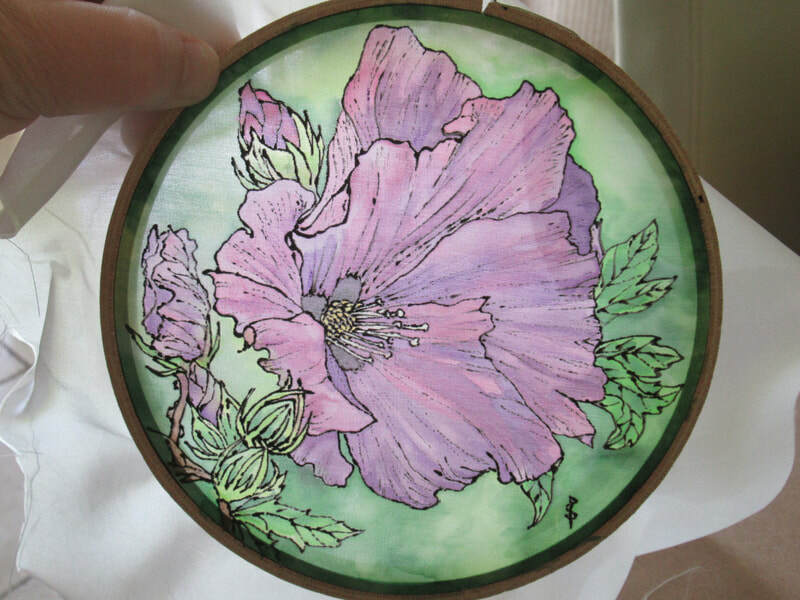 It's a fact - there is nothing as relaxing as silk painting! 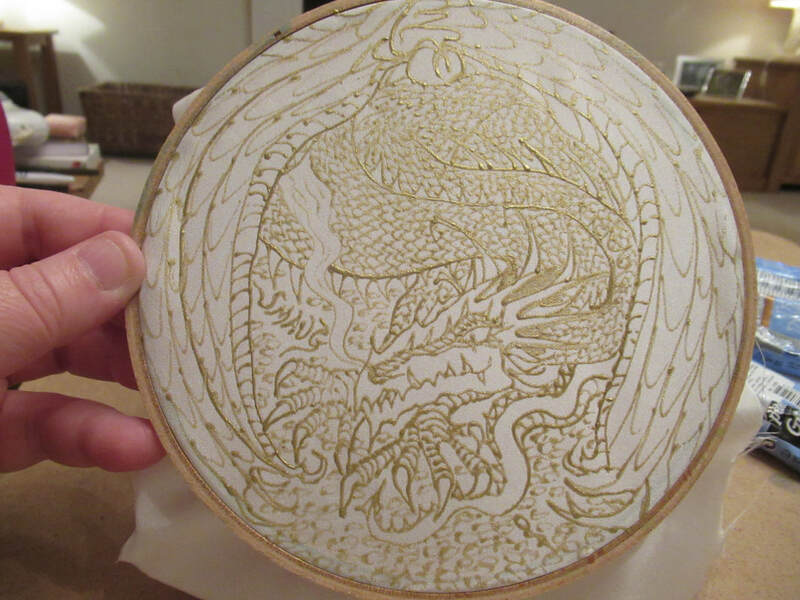 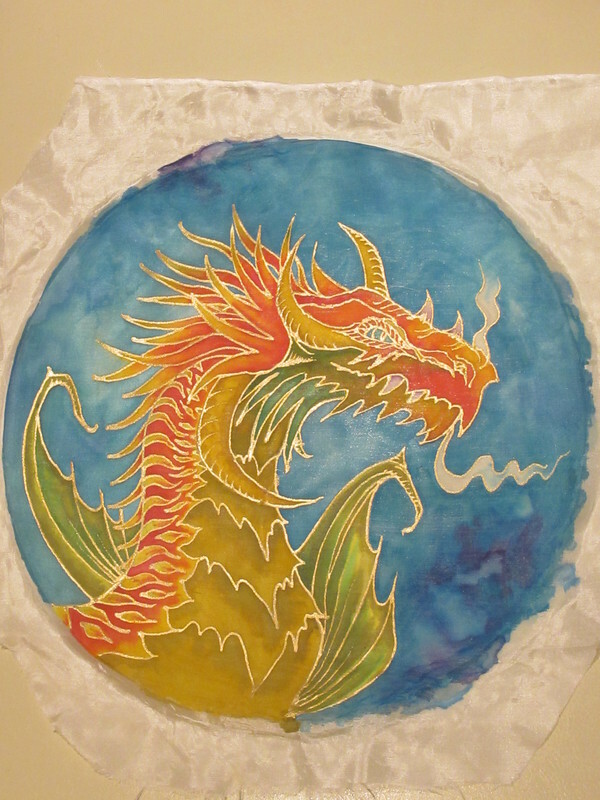 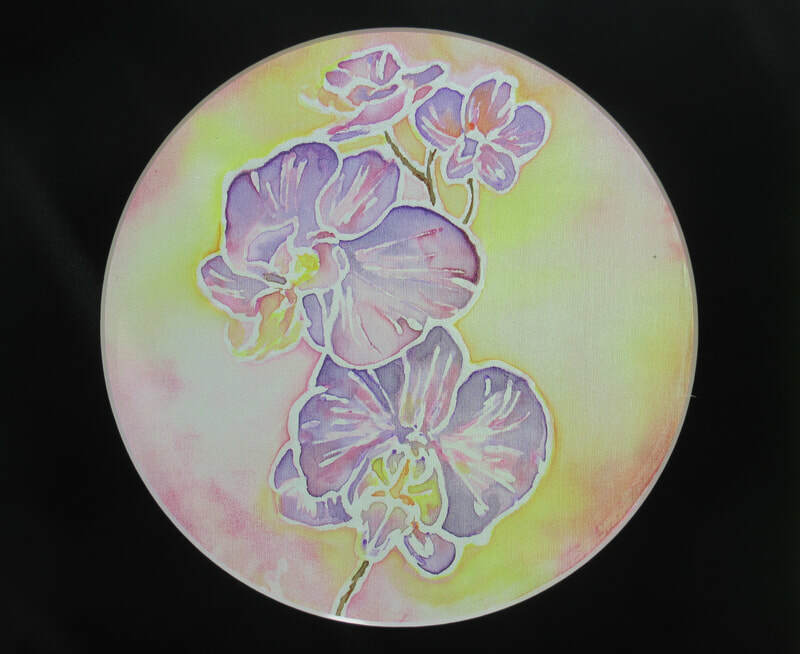 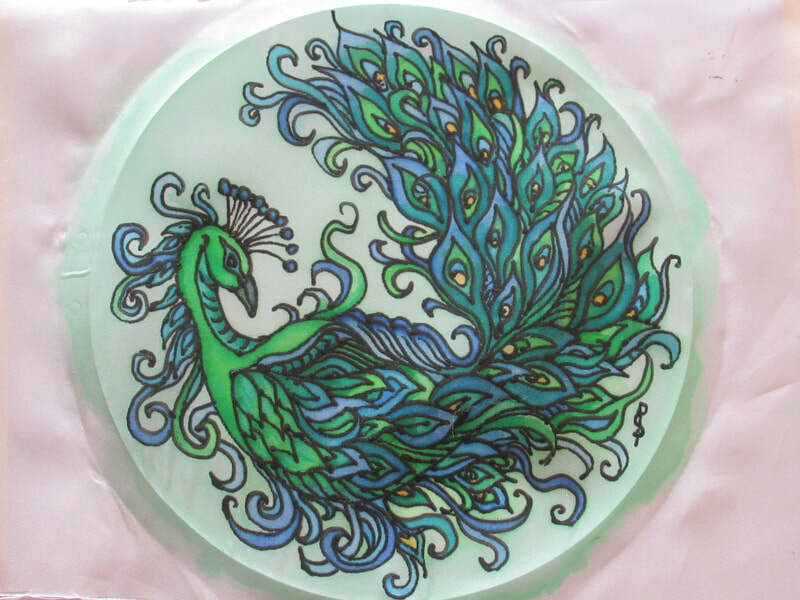 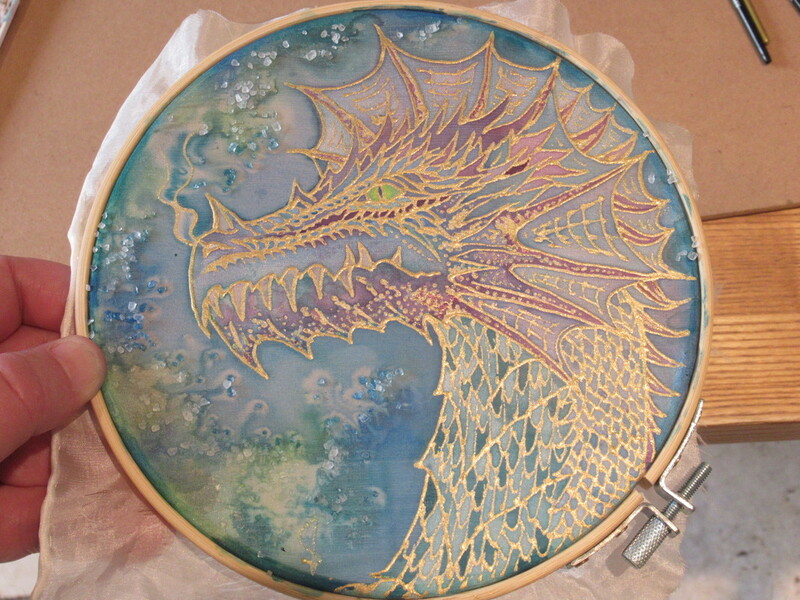 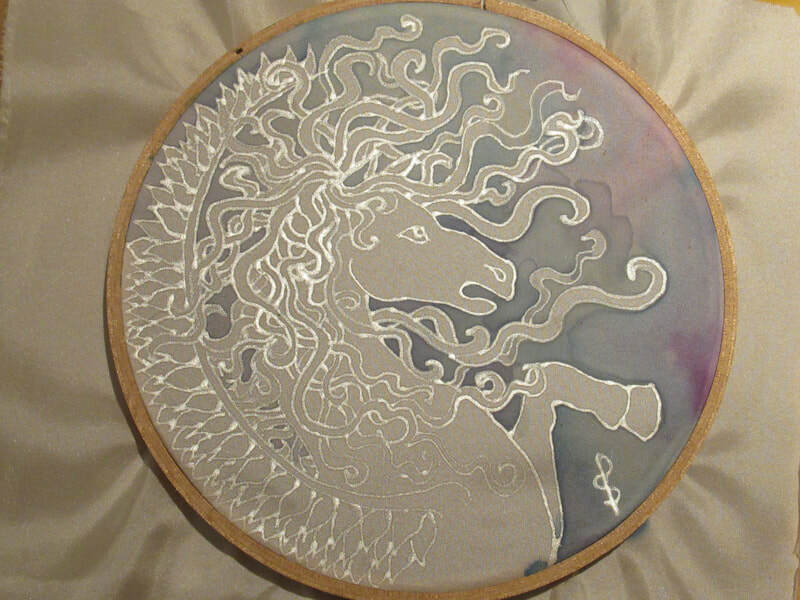 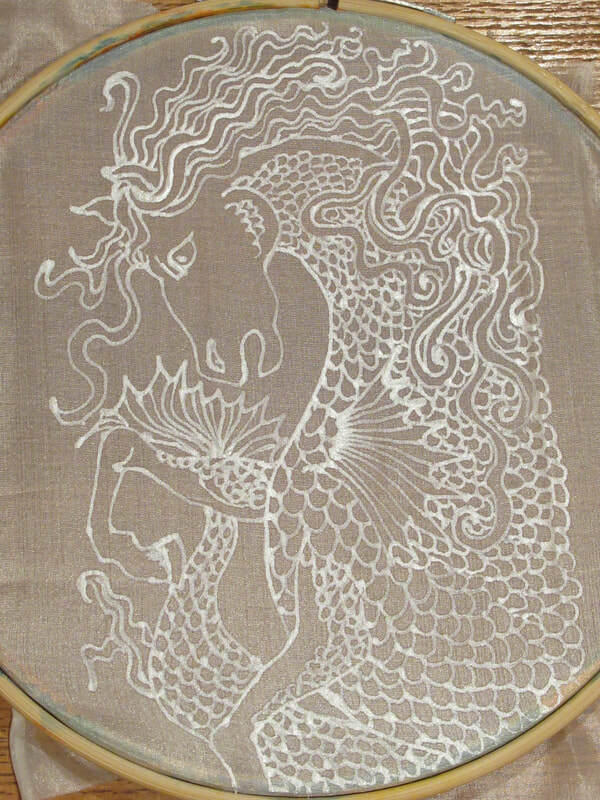 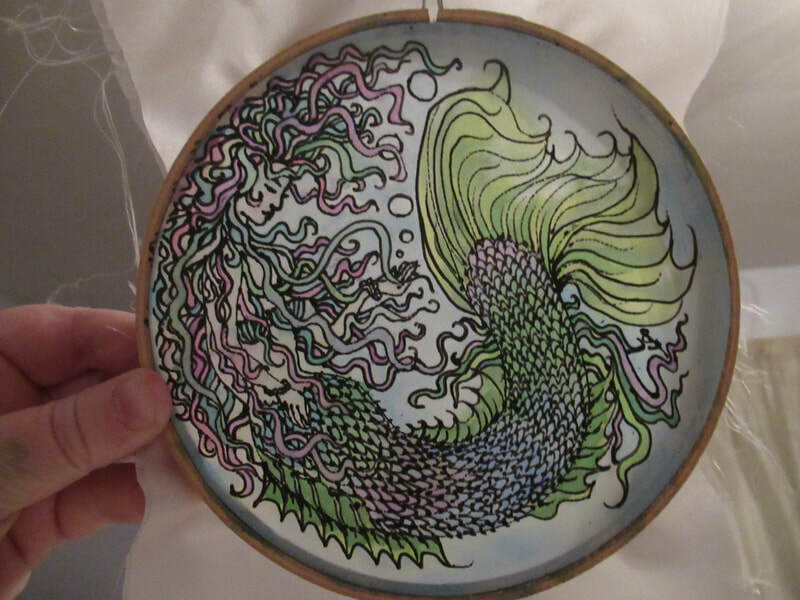 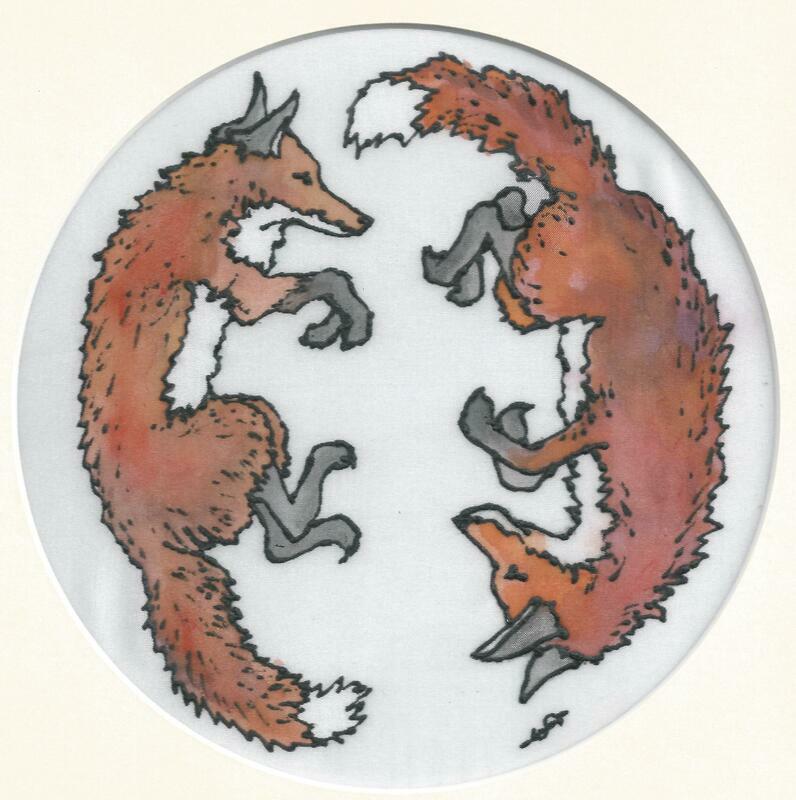 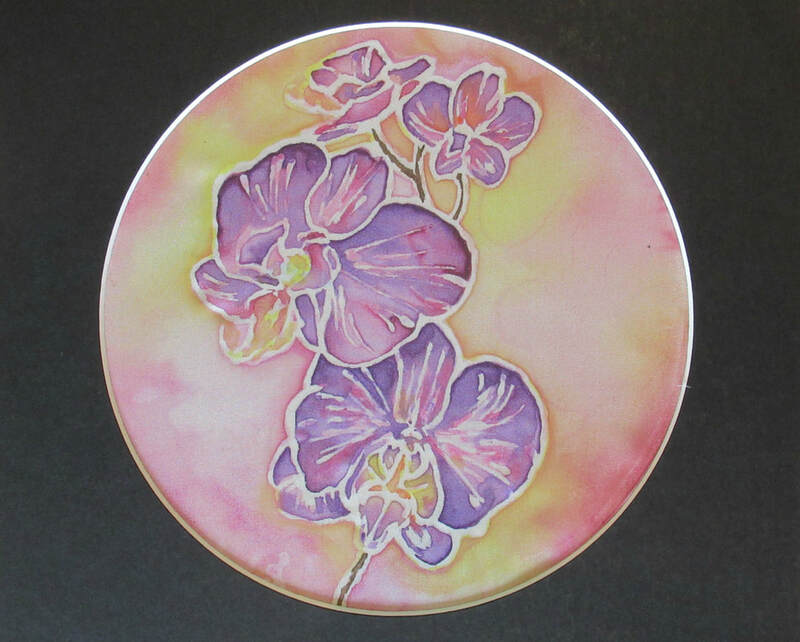 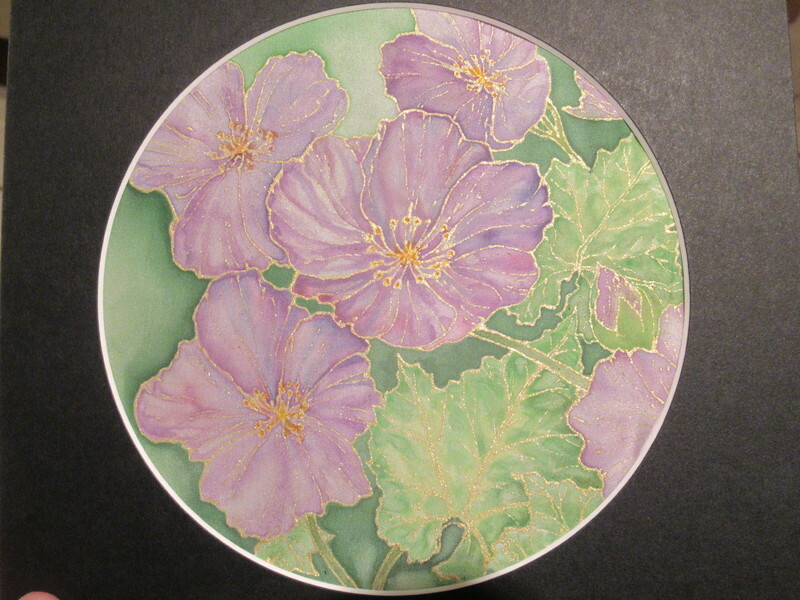 In addition to specialising in this wonderful medium, I also run Silk Painting Workshops where I teach people how to stretch the silk, apply the gutta (outliner) and use and apply the specialised silk paints, including how to create spectacular effects in blending and using sponges and rock salt crystals. 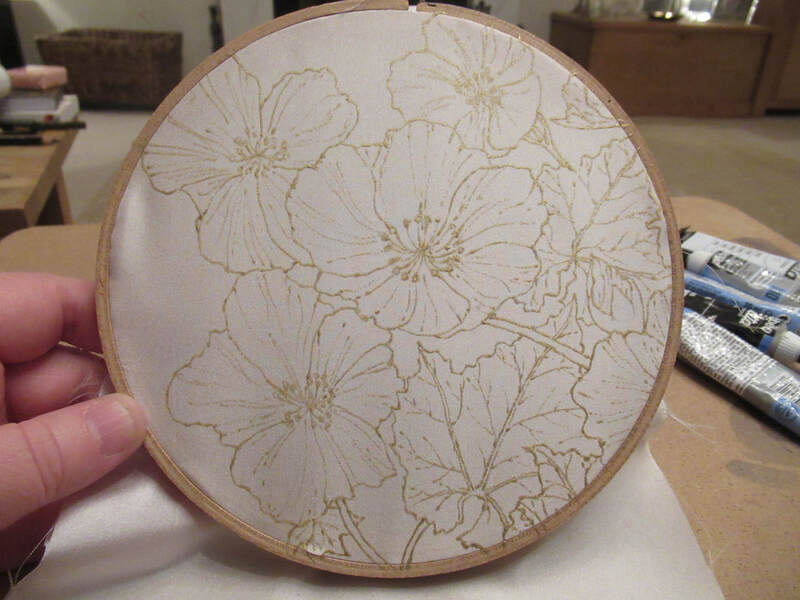 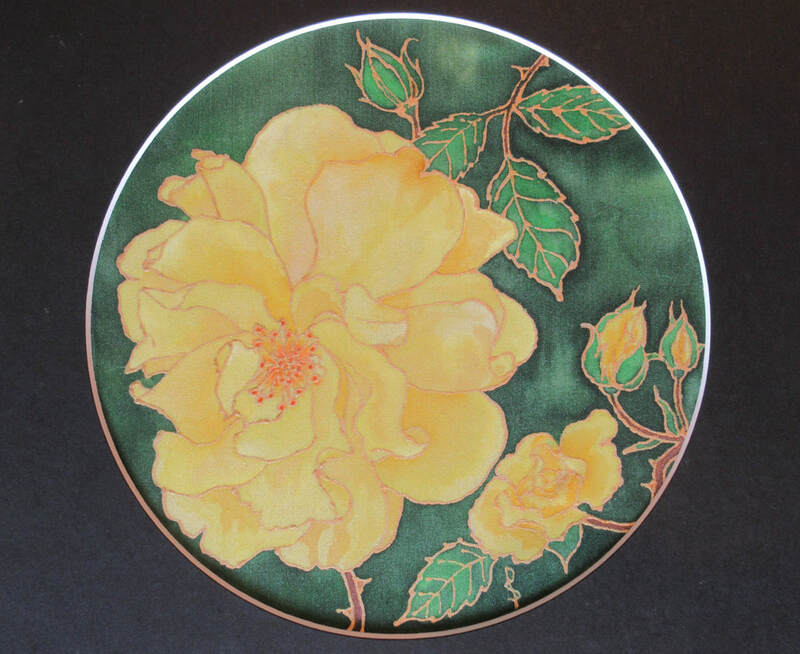 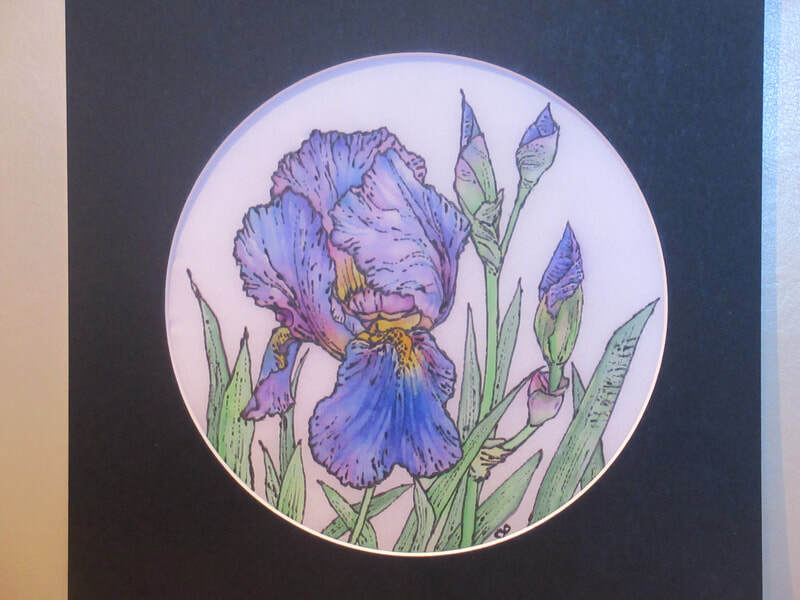 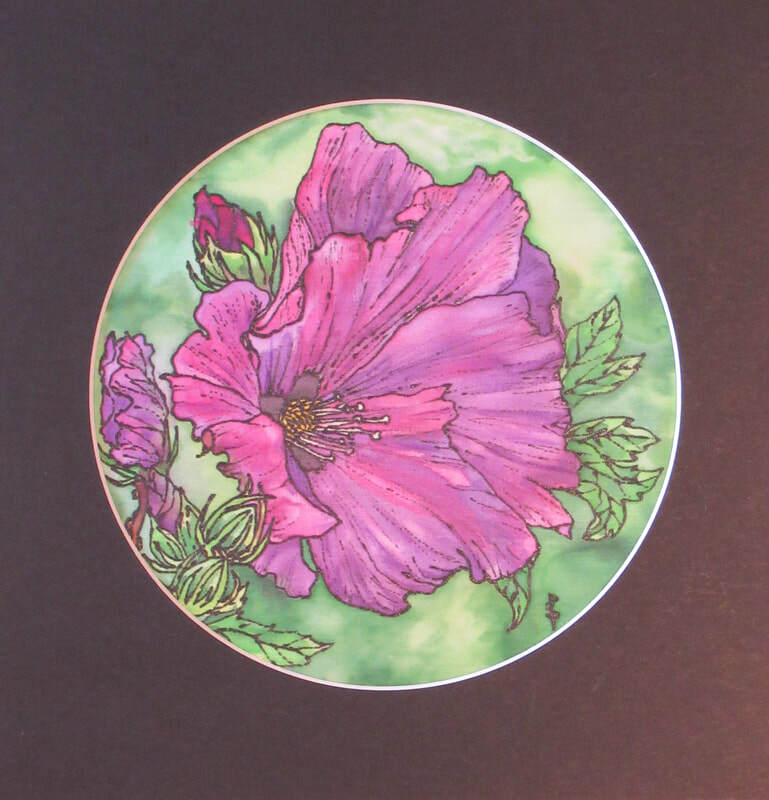 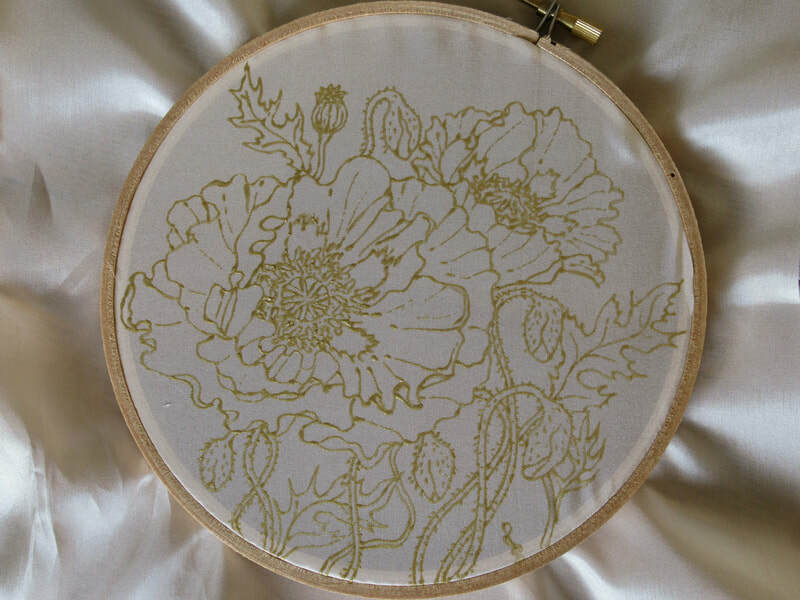 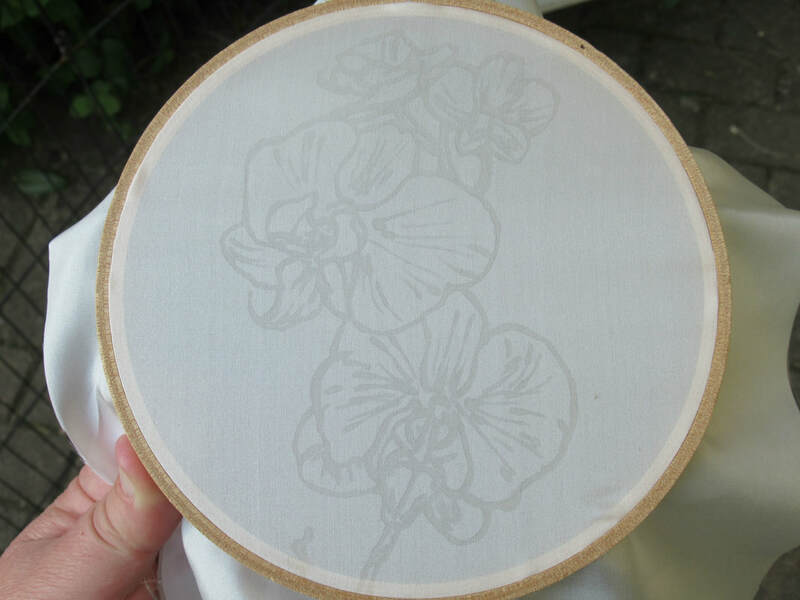 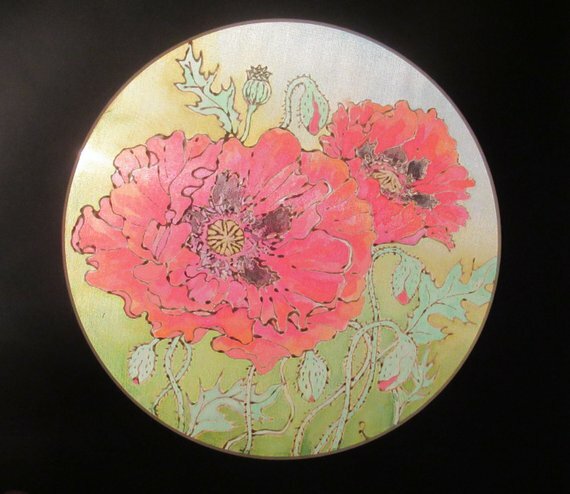 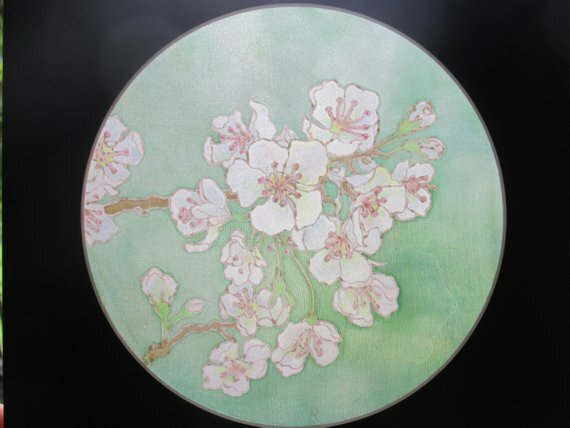 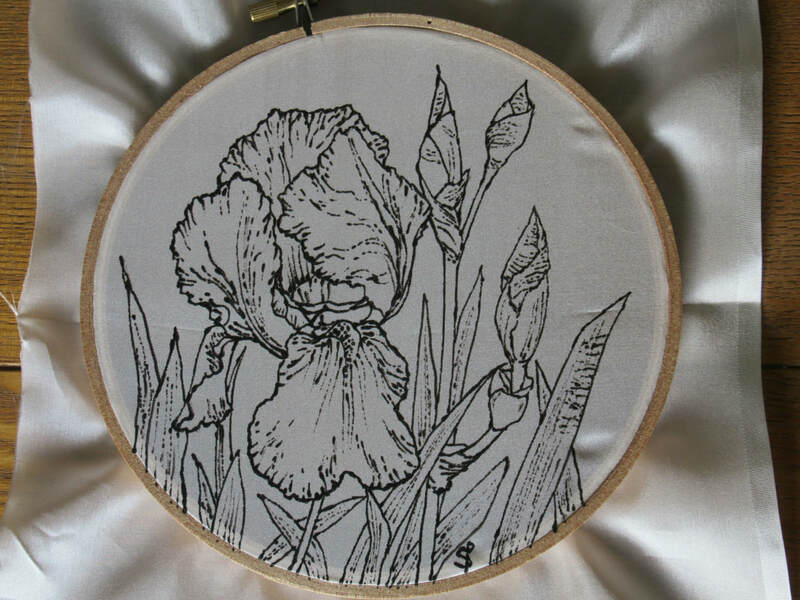 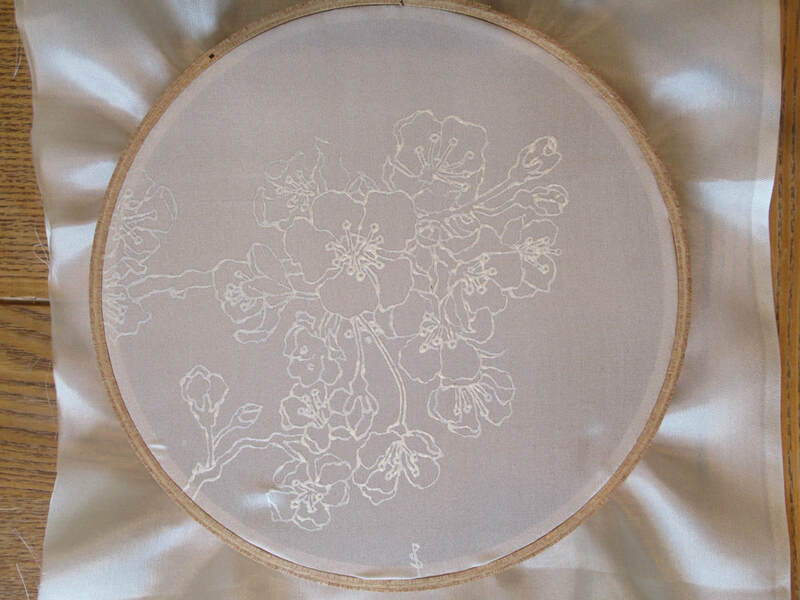 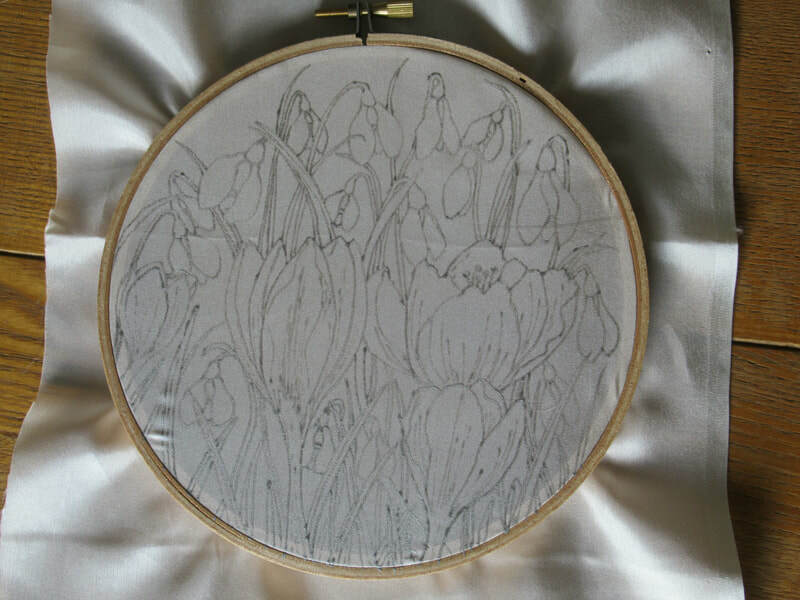 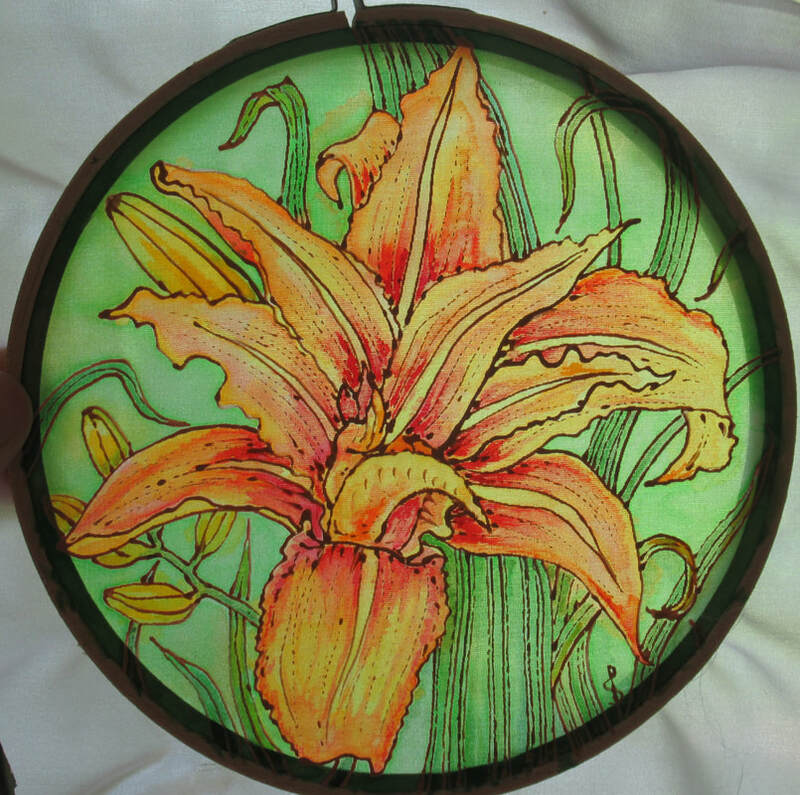 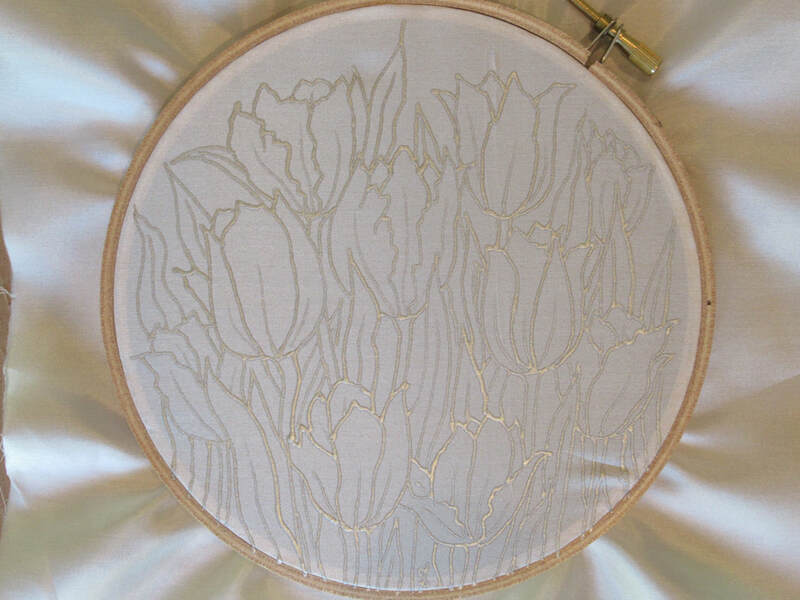 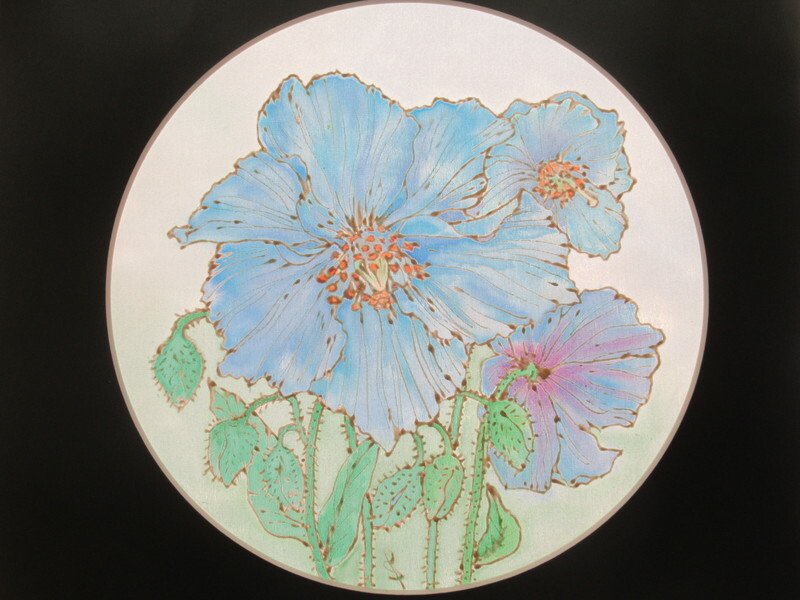 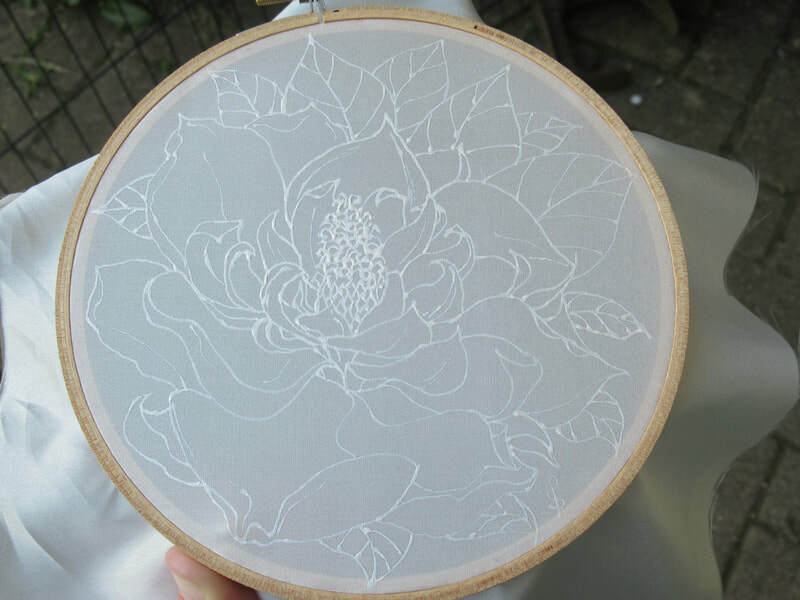 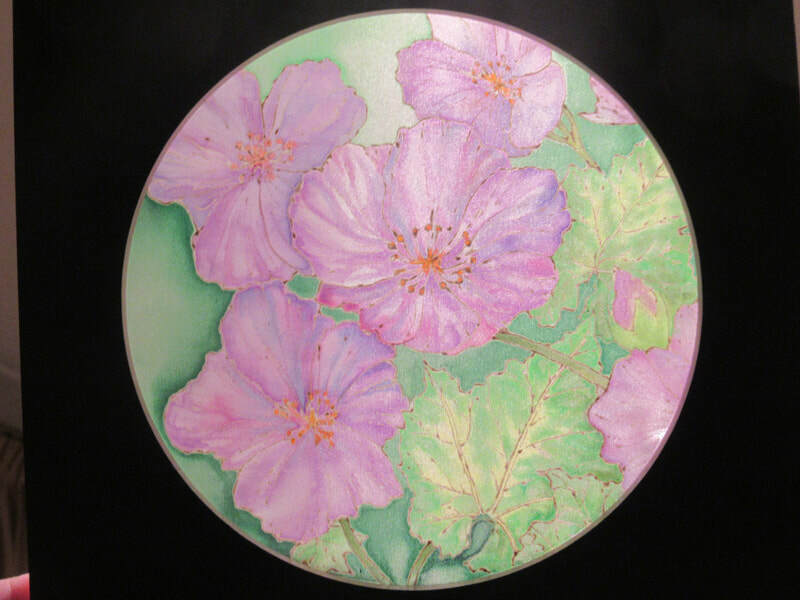 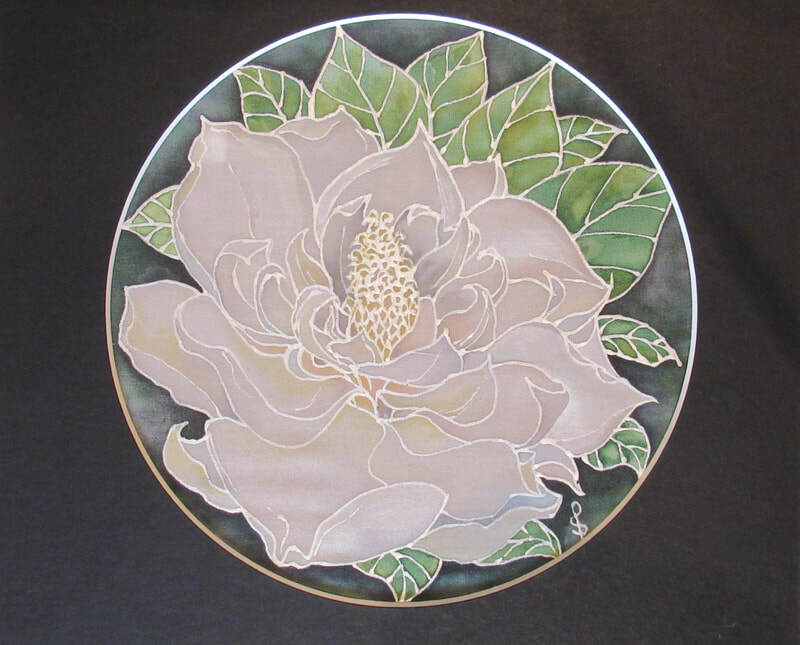 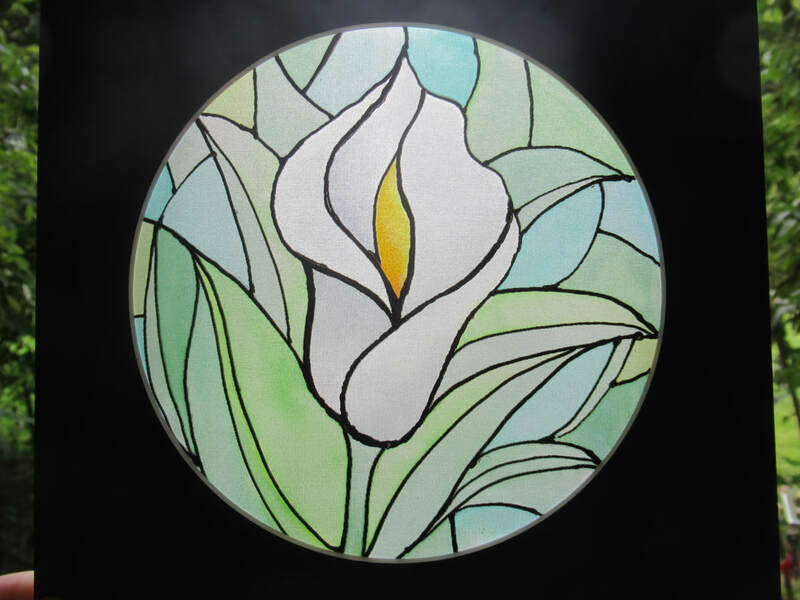 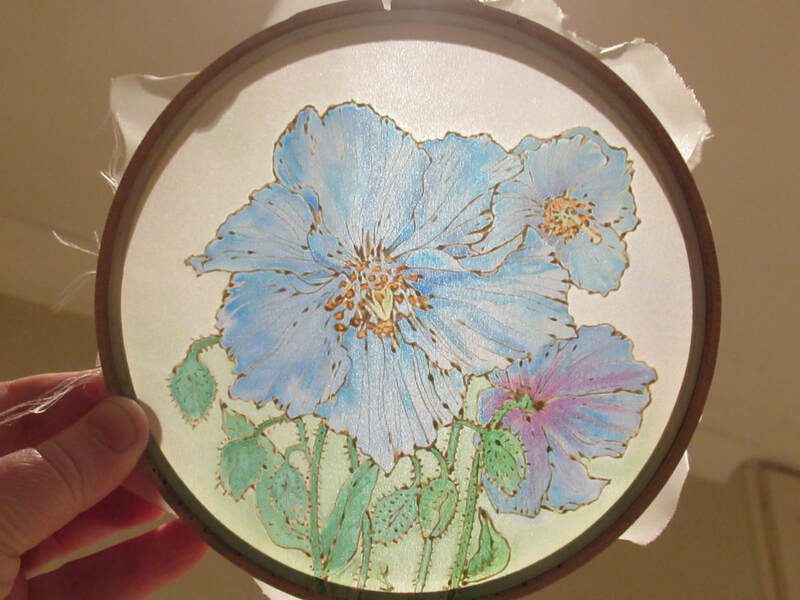 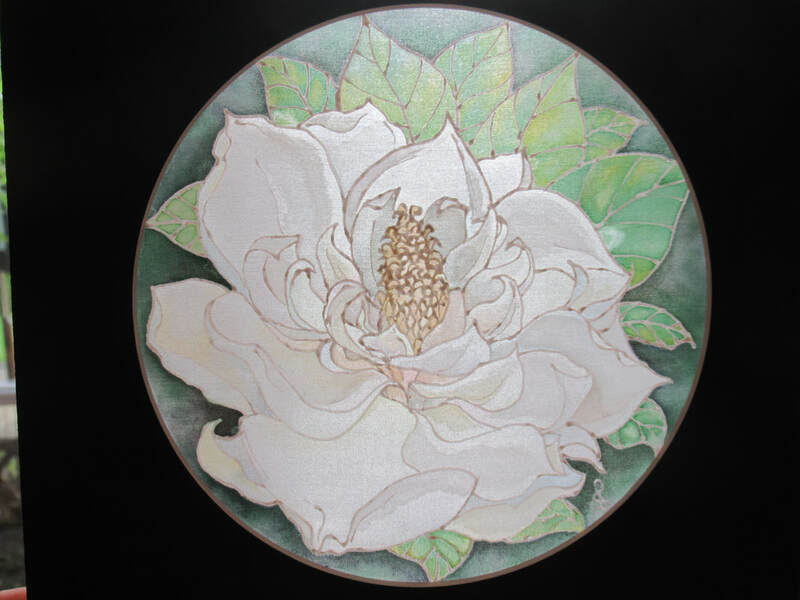 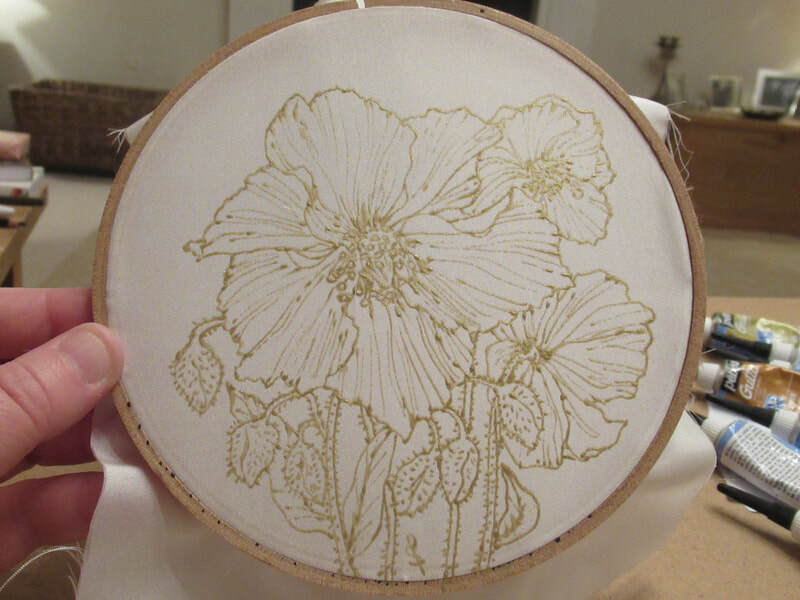 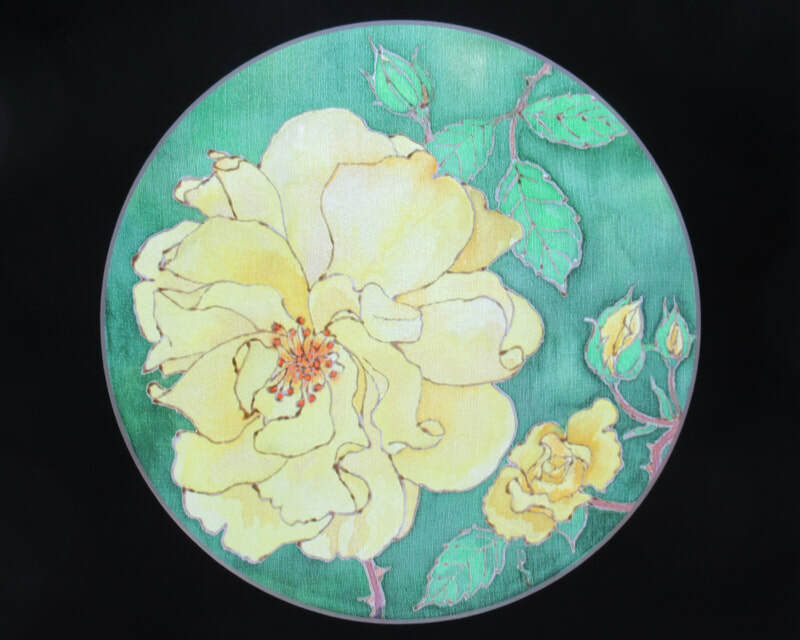 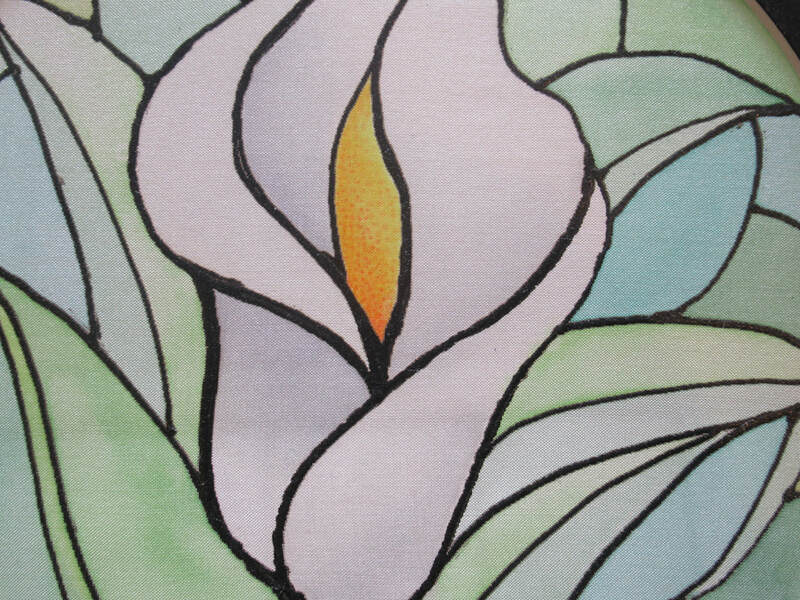 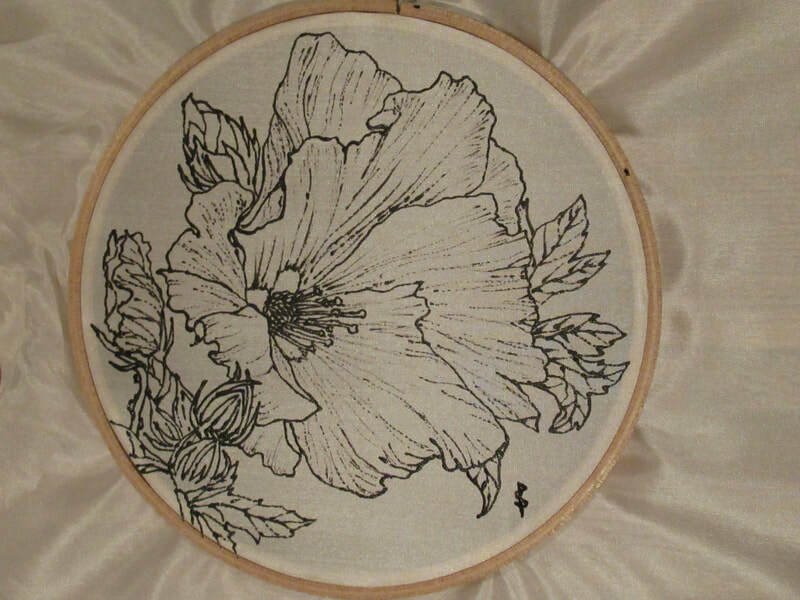 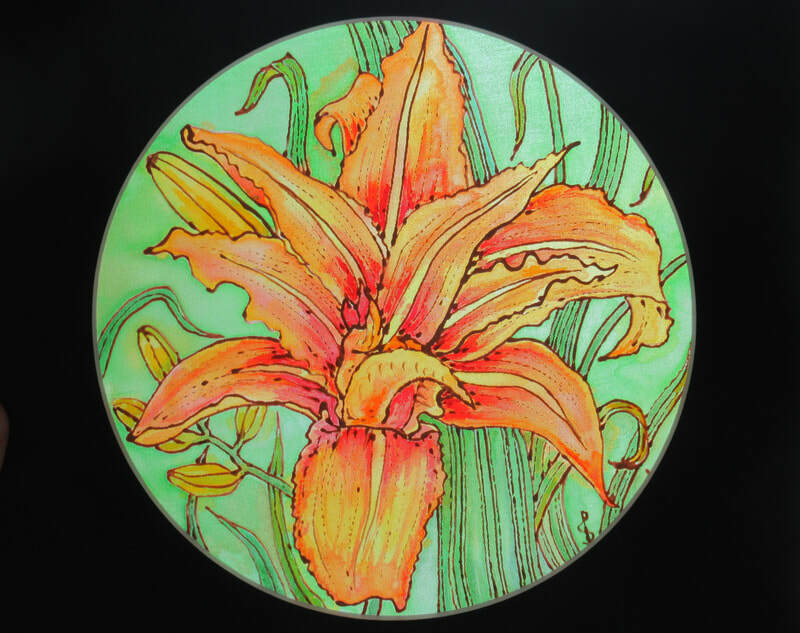 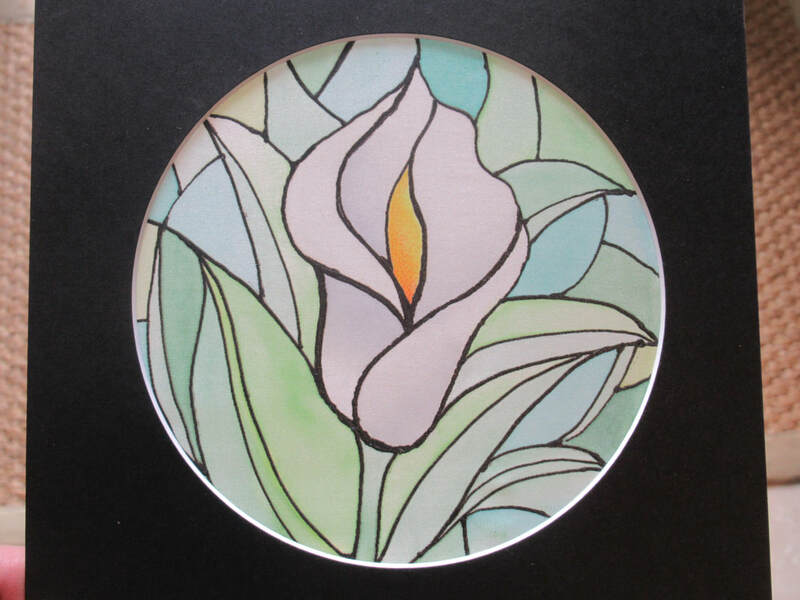 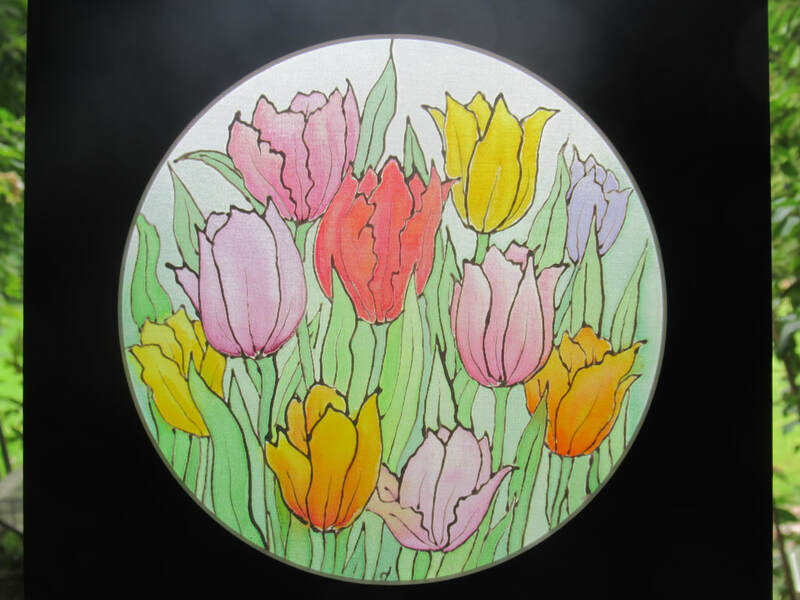 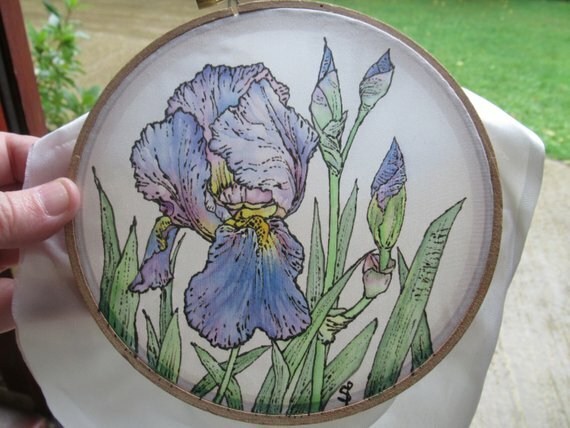 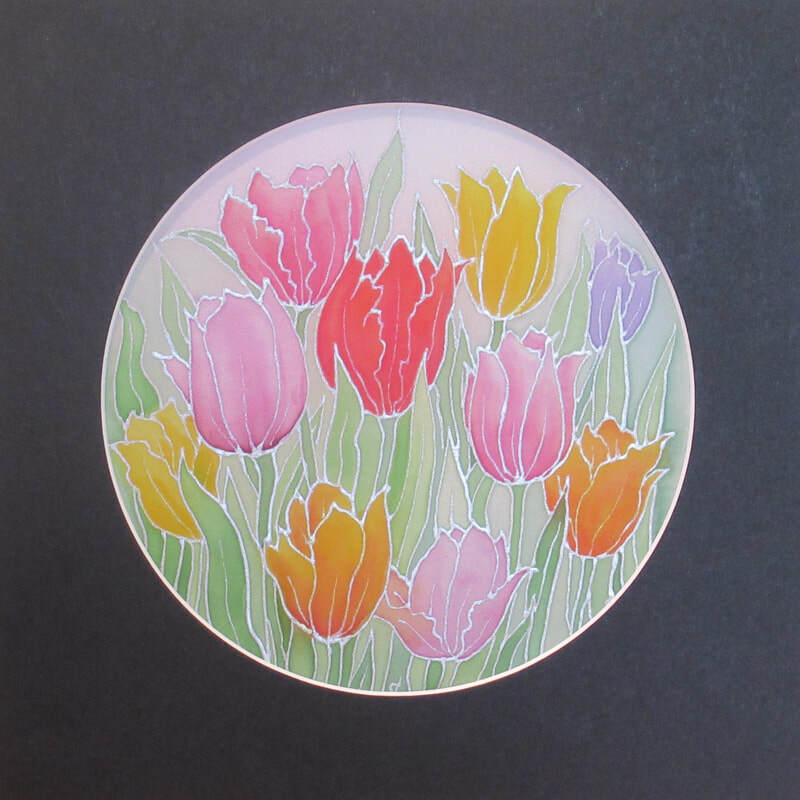 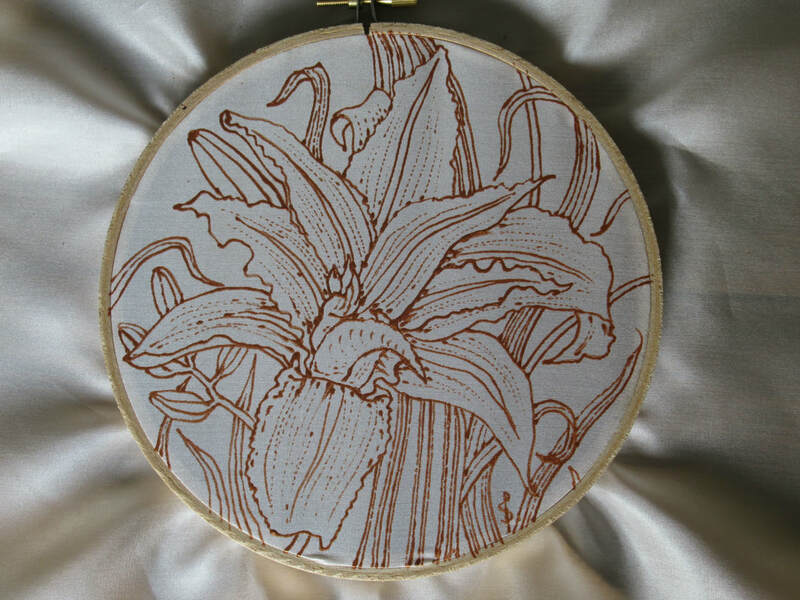 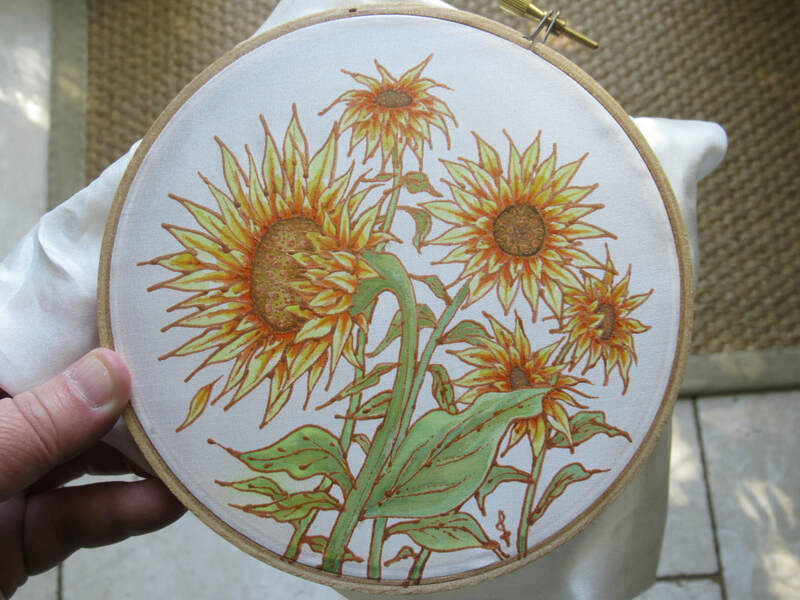 Silk painting is a truly beautiful and ancient artform and one that lends itself so well to depicting natural forms such as flowers and landscapes. 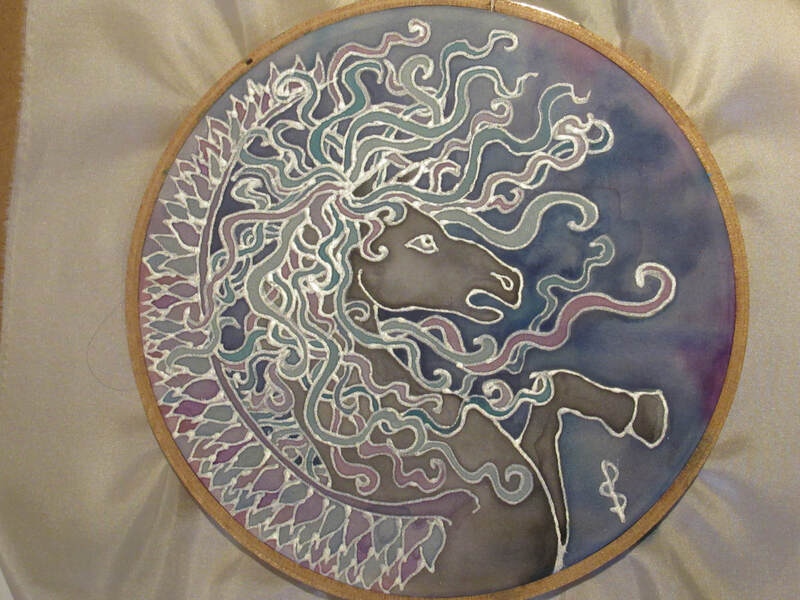 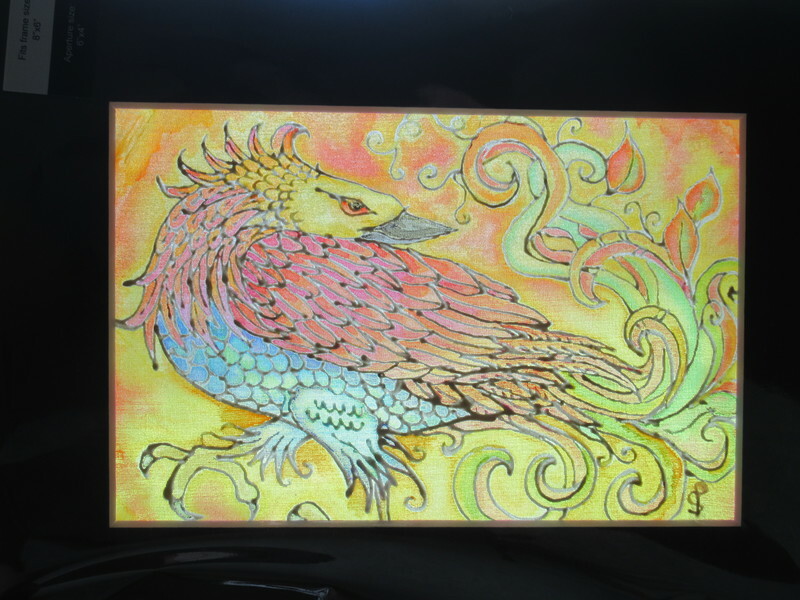 I've run 7 very successful silk painting workshops so far, including at the Doubletree Hilton Hotel in Bristol, and often tell my attendees (especially the nervous ones) that a silk painting is like a harp - you cannot make an ugly noise with a harp and you cannot make an ugly silk painting! 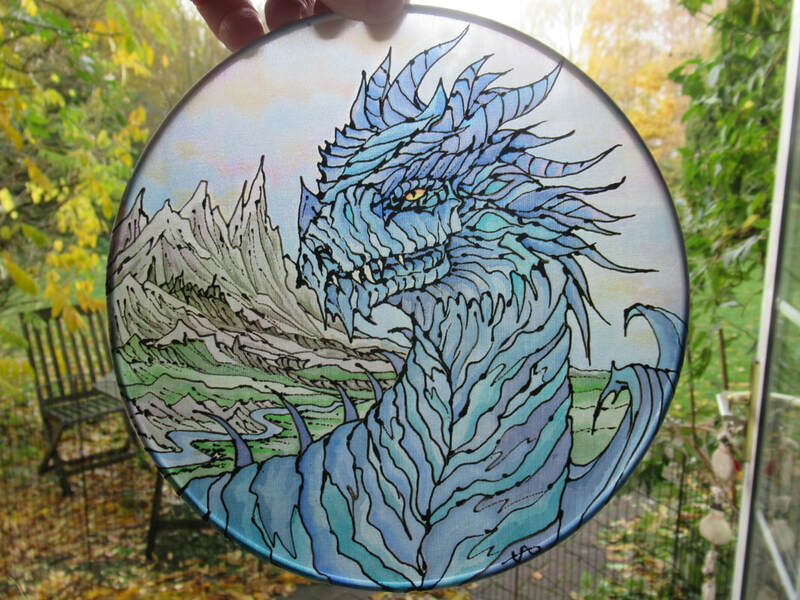 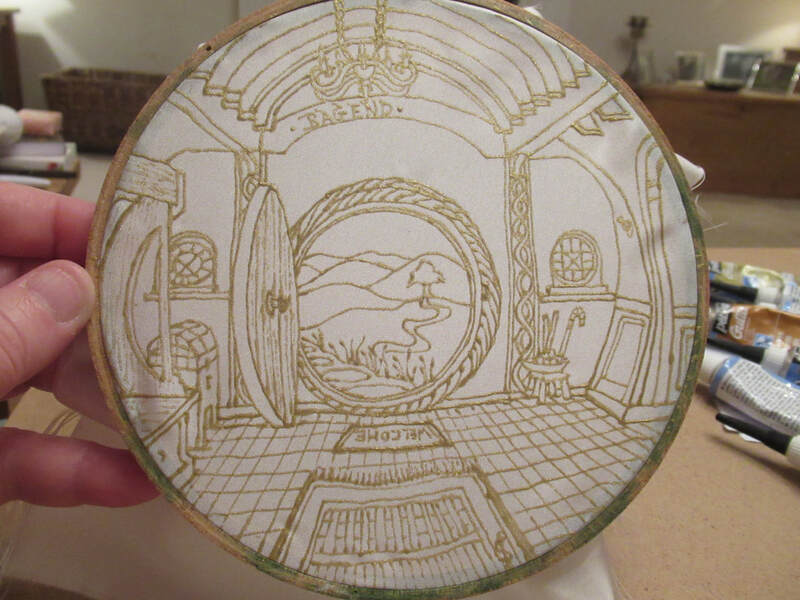 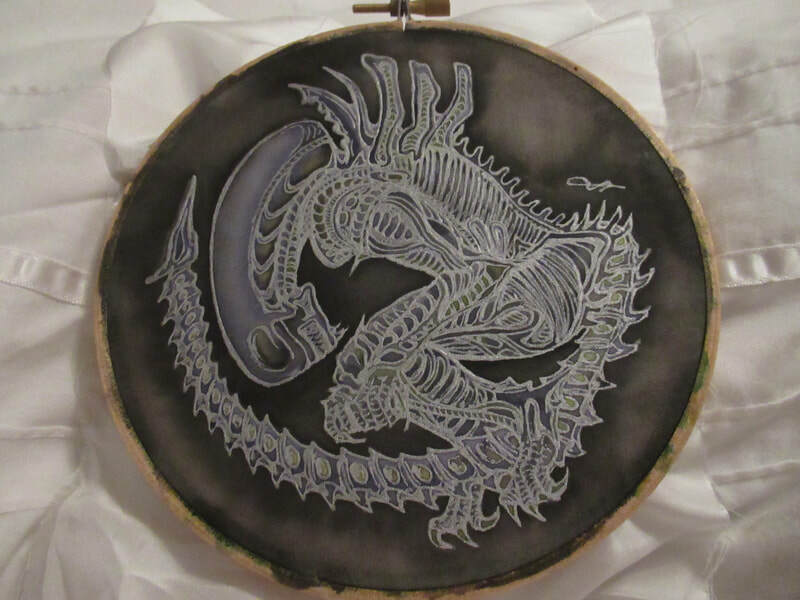 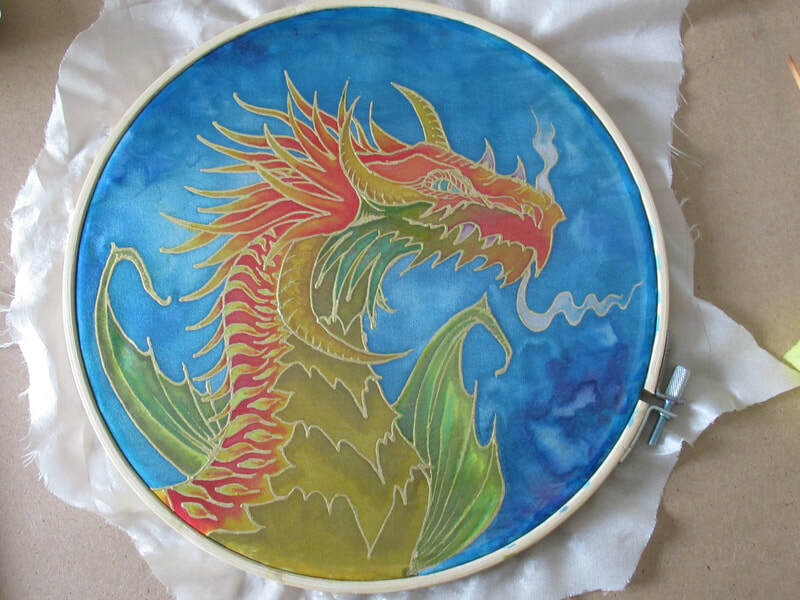 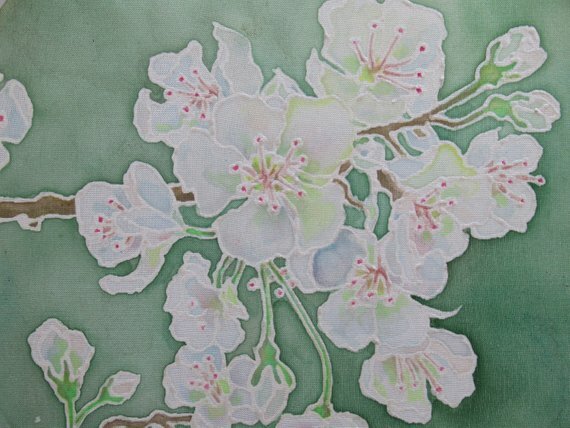 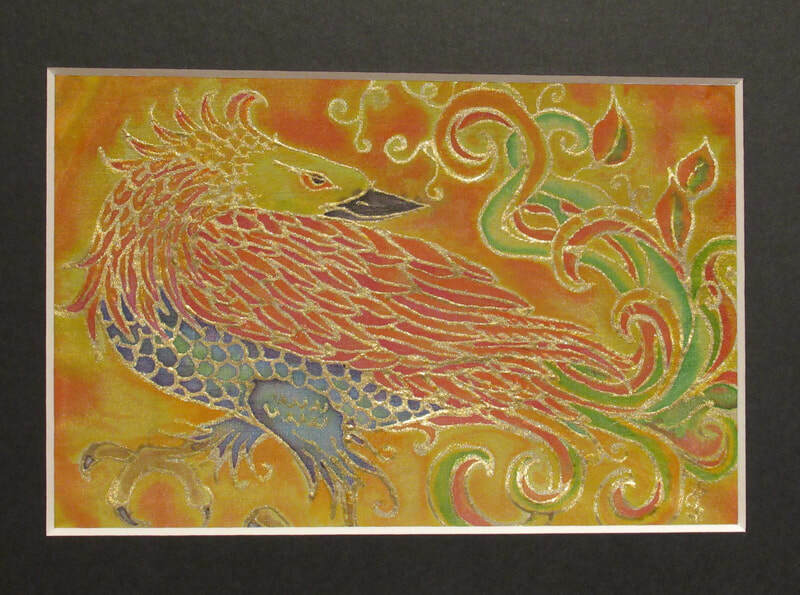 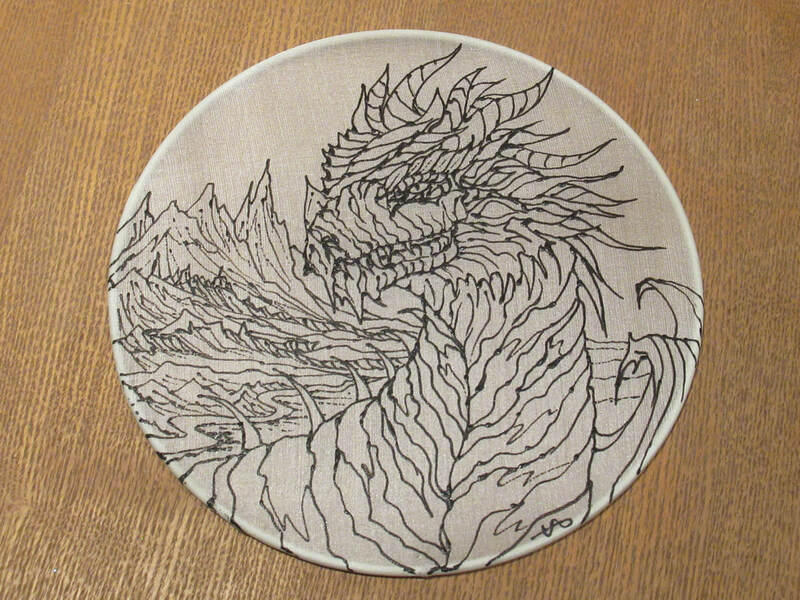 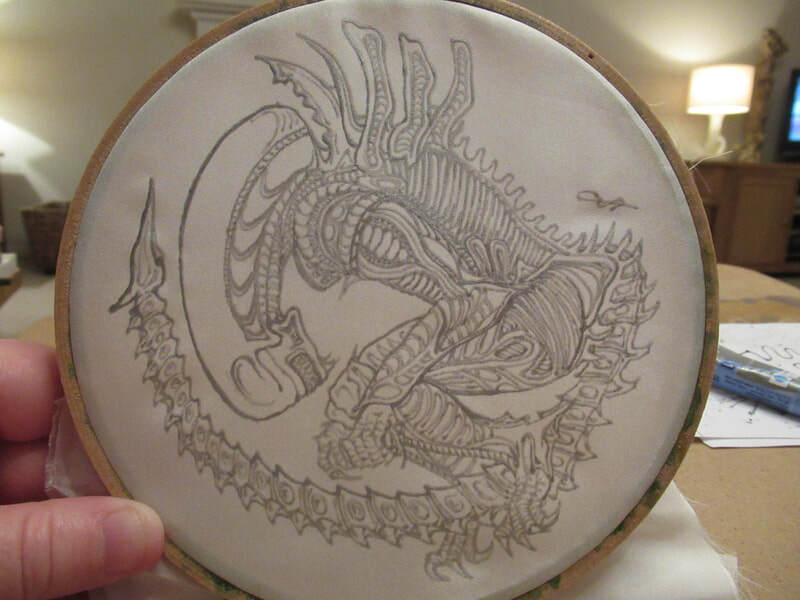 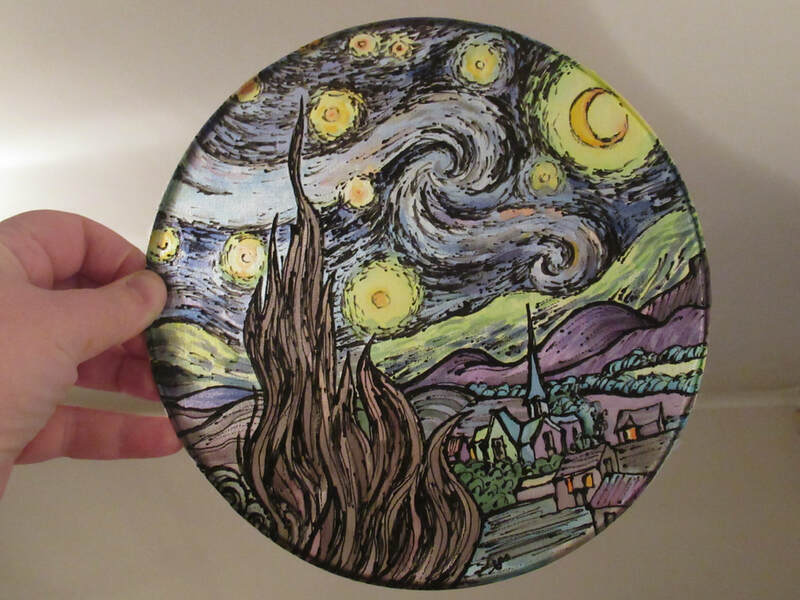 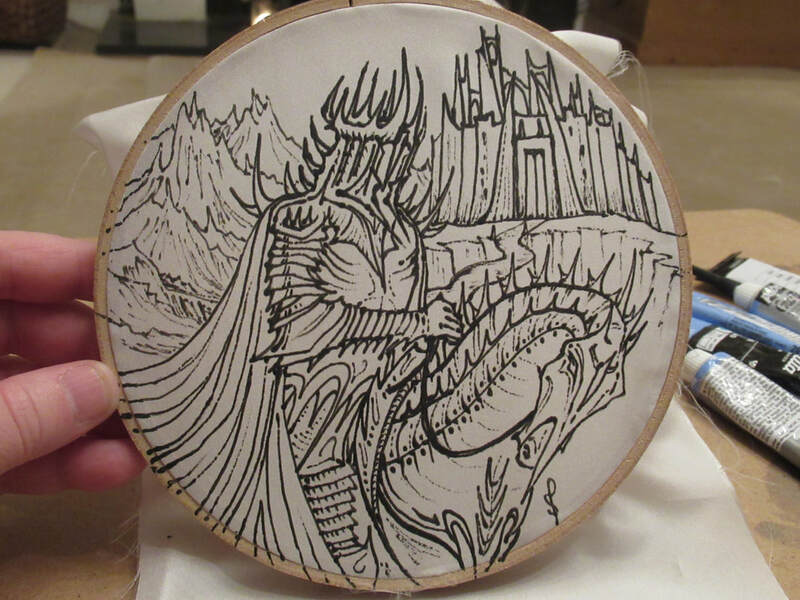 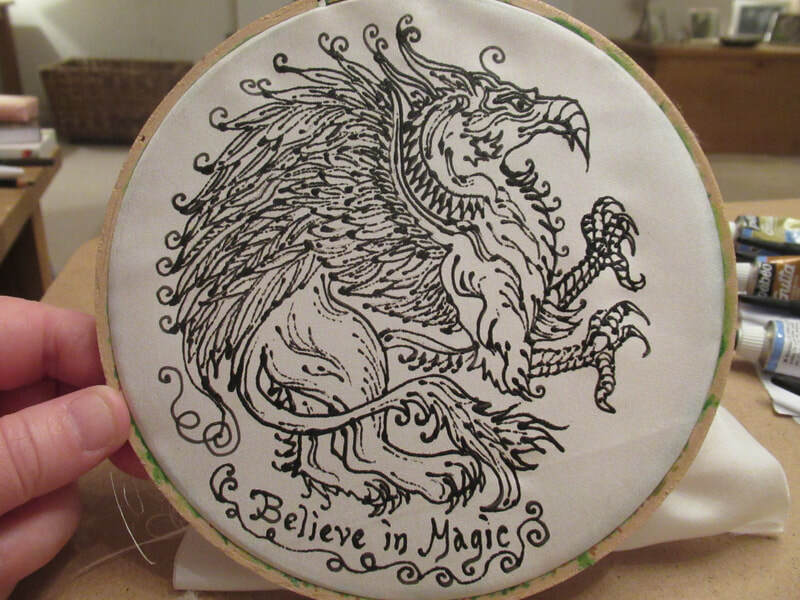 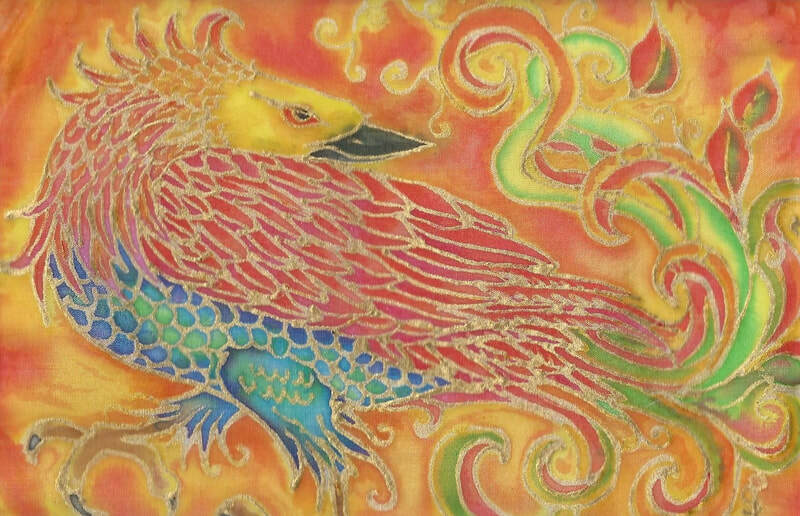 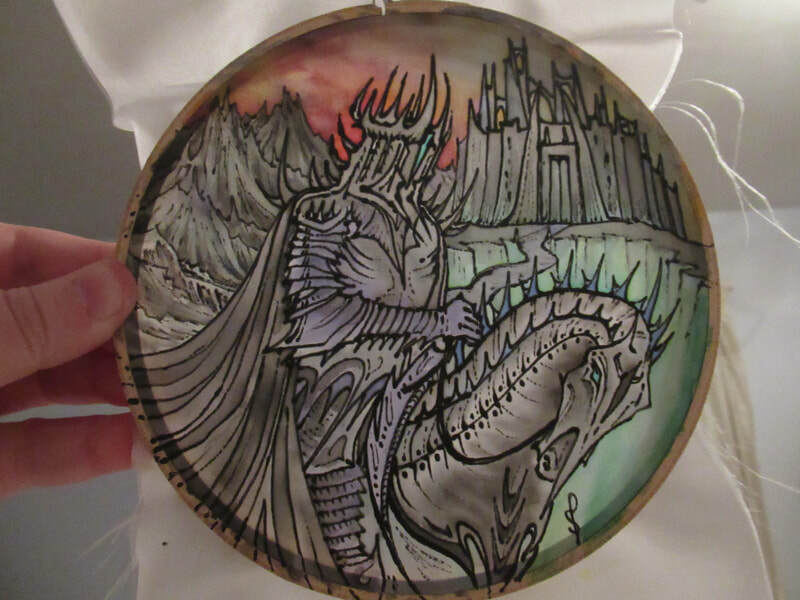 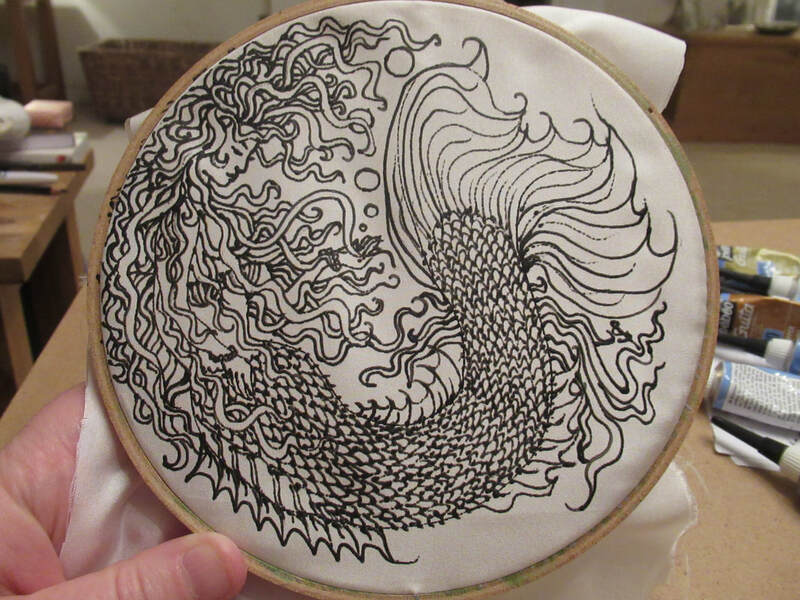 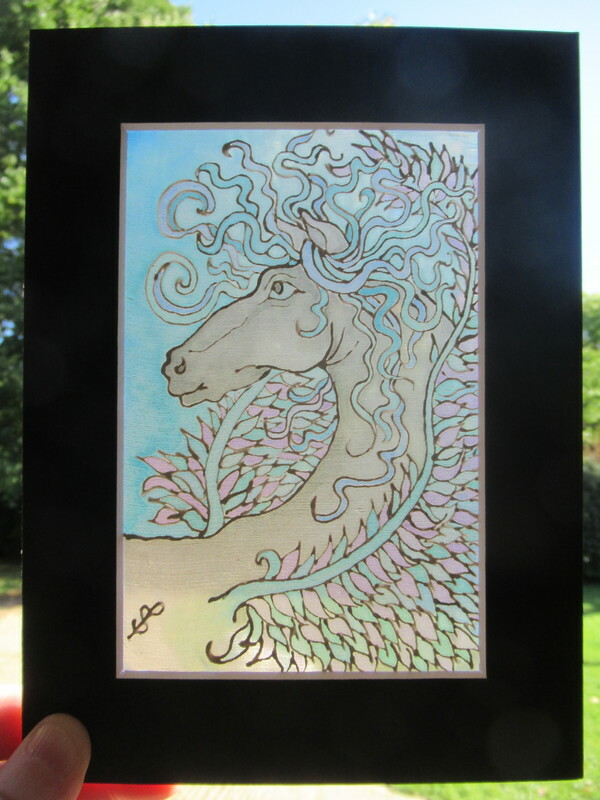 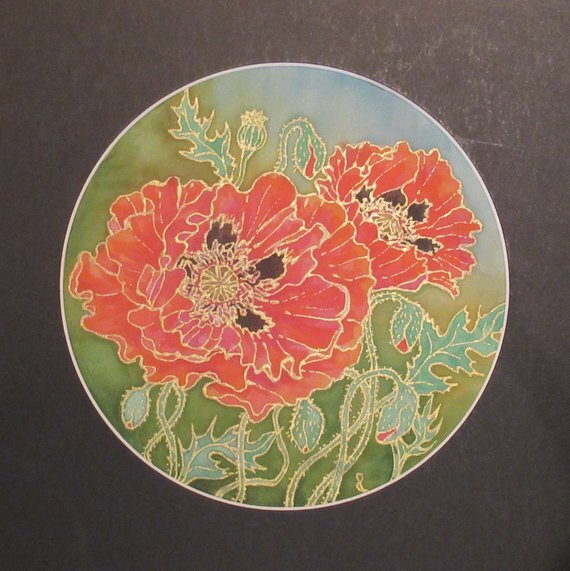 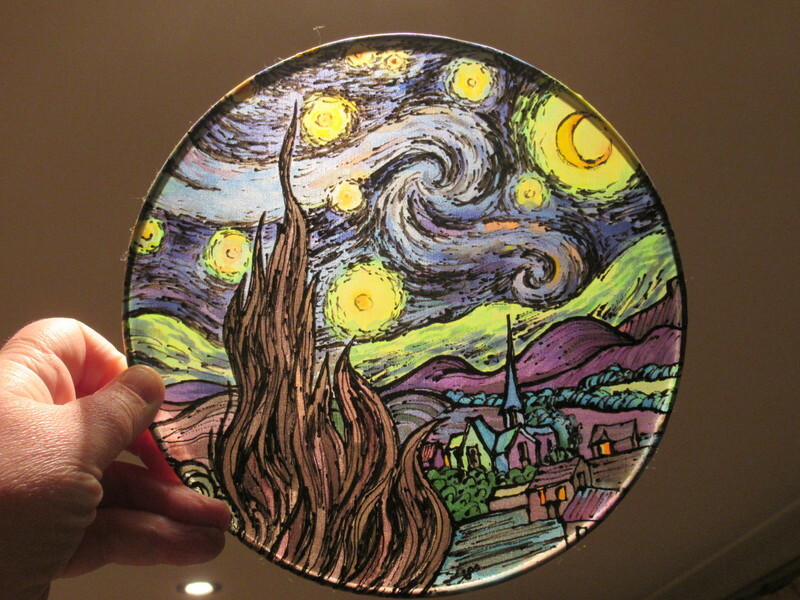 I'm a firm believer that the unique medium of silk painting can be used in any artistic context, whether it be landscapes, portraits, still life, modern art, re-creating art masterpieces, animal and nature inspired works or fantasy and science-fiction art. 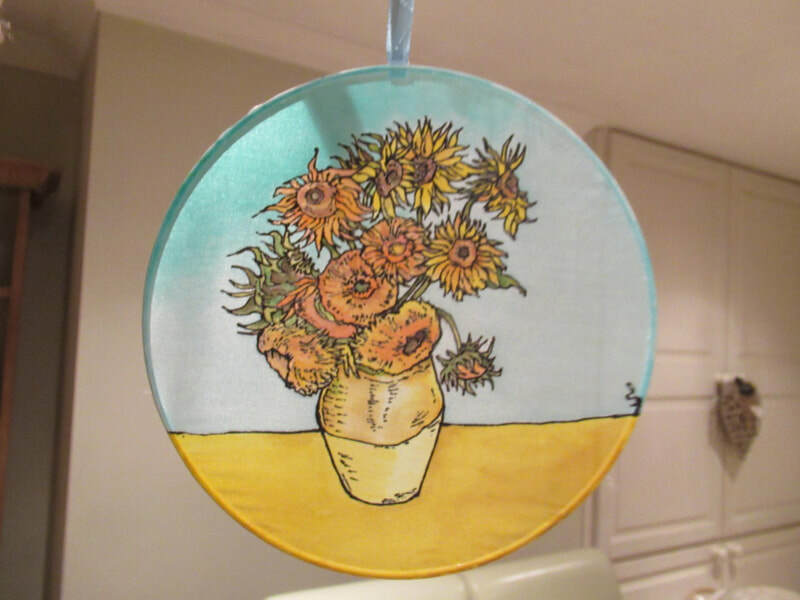 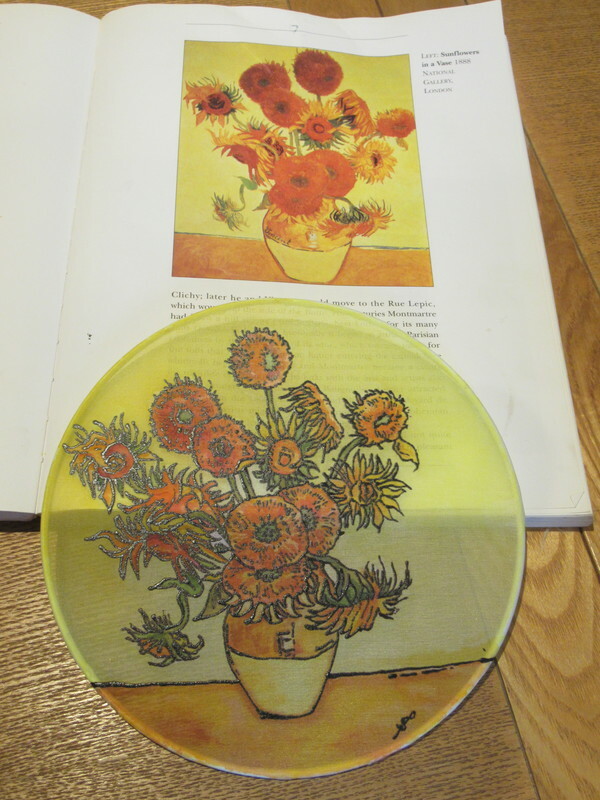 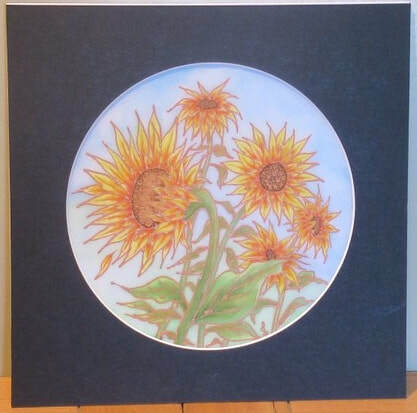 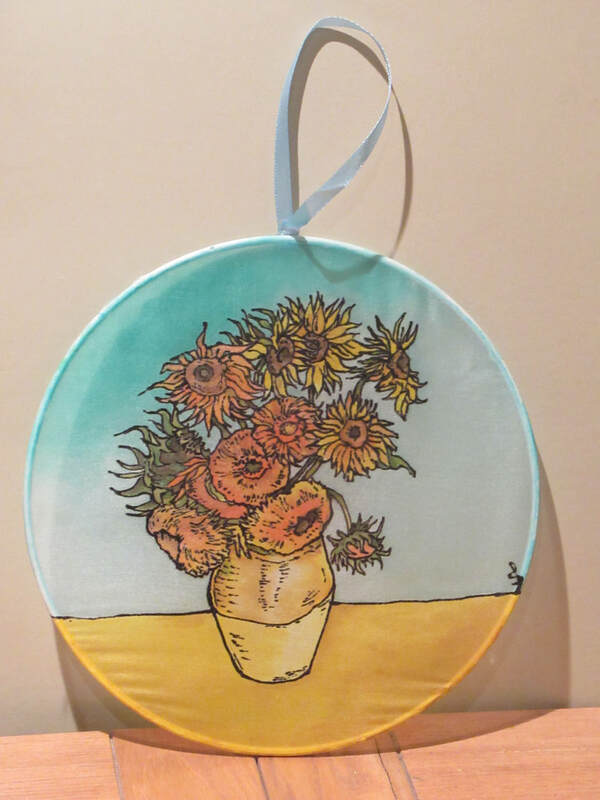 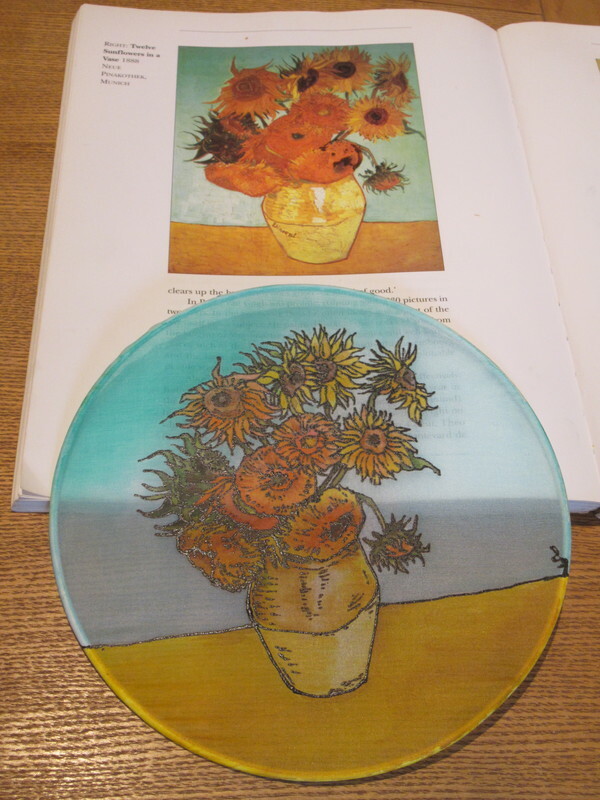 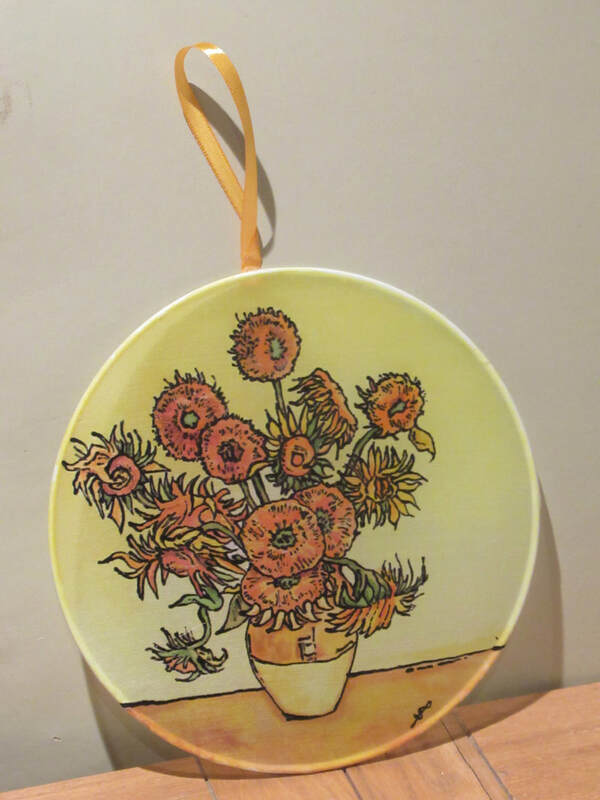 A series of silk paintings based on the masterpiece works from a variety of famous artists, starting with Van Gogh's 'Starry Night', 'Sunflowers in a Vase' and 'Twelve Sunflowers in a Vase'. 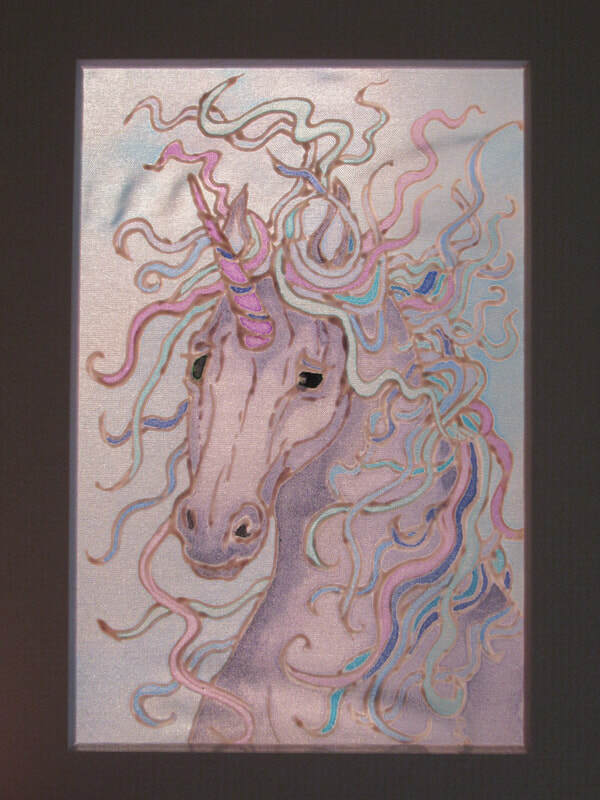 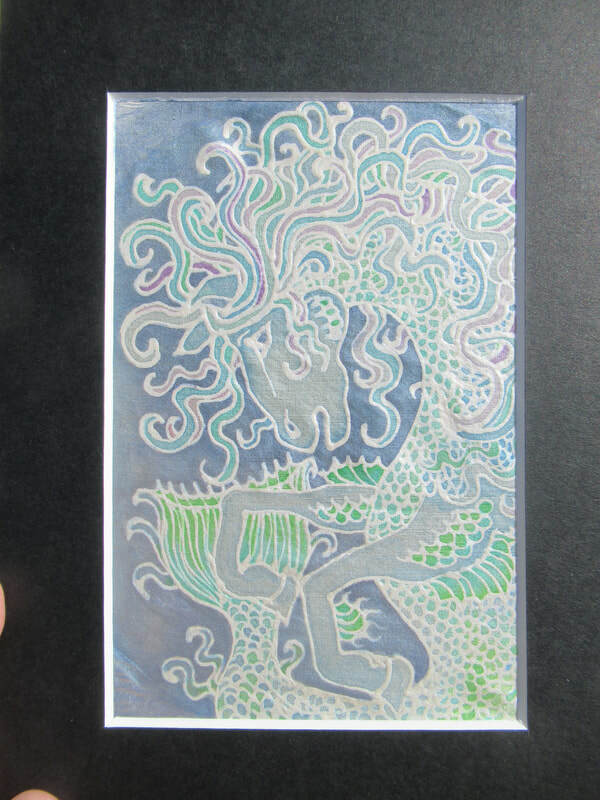 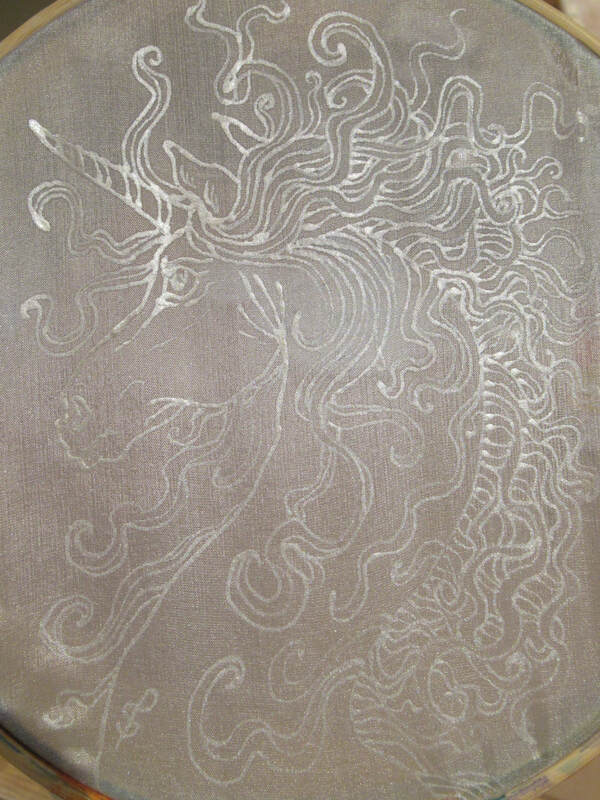 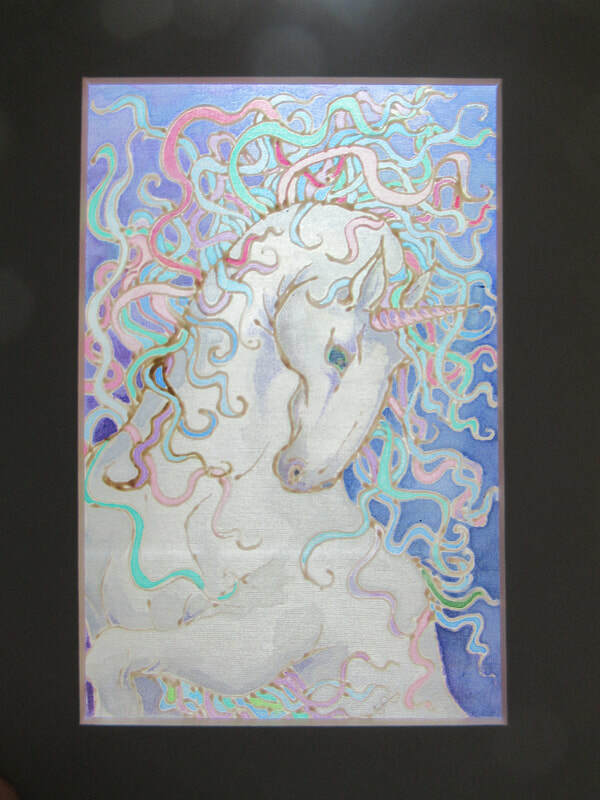 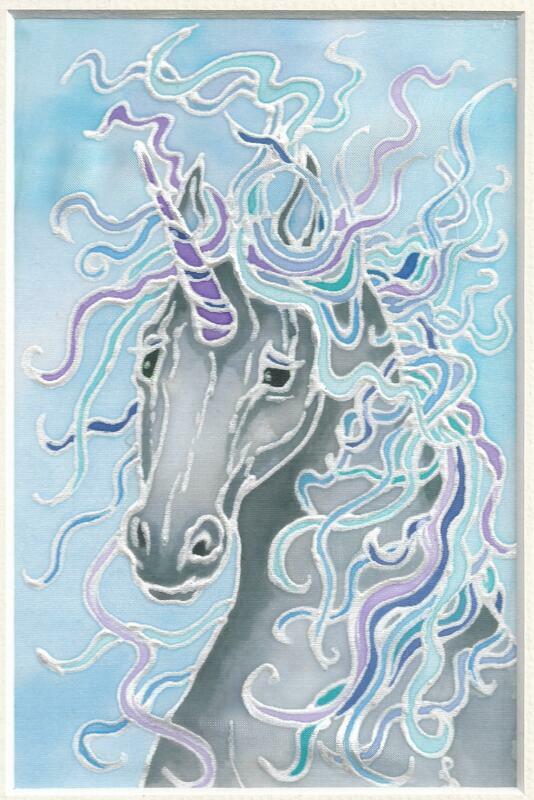 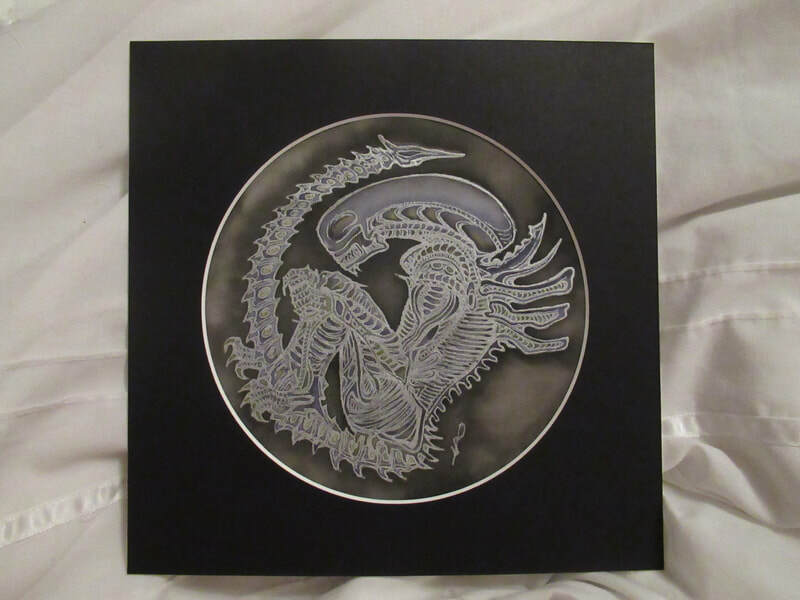 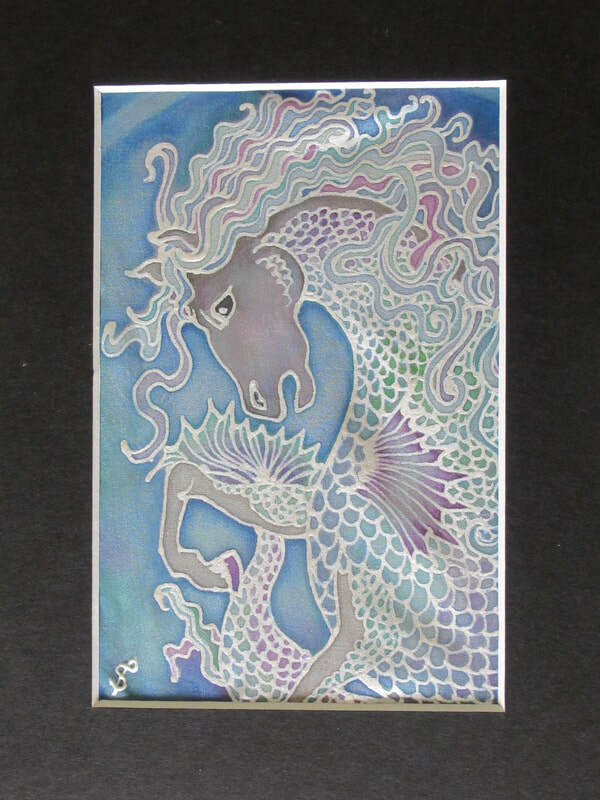 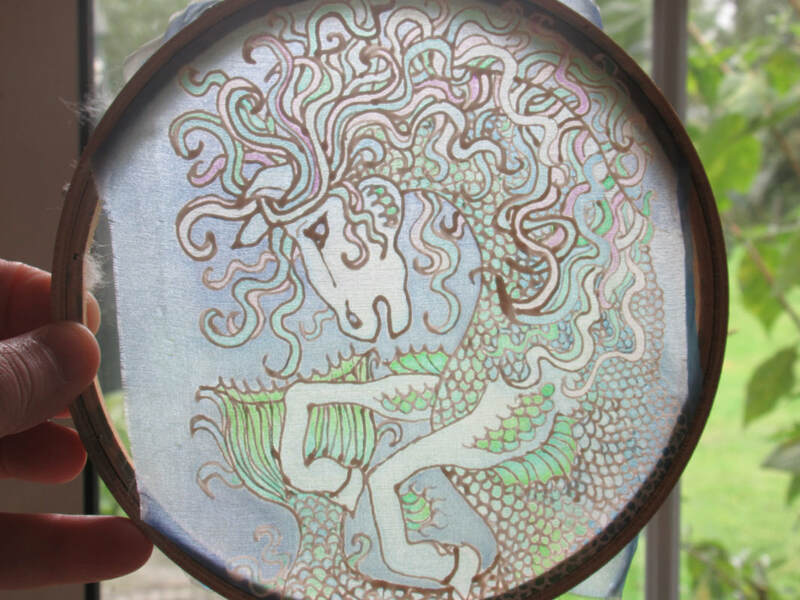 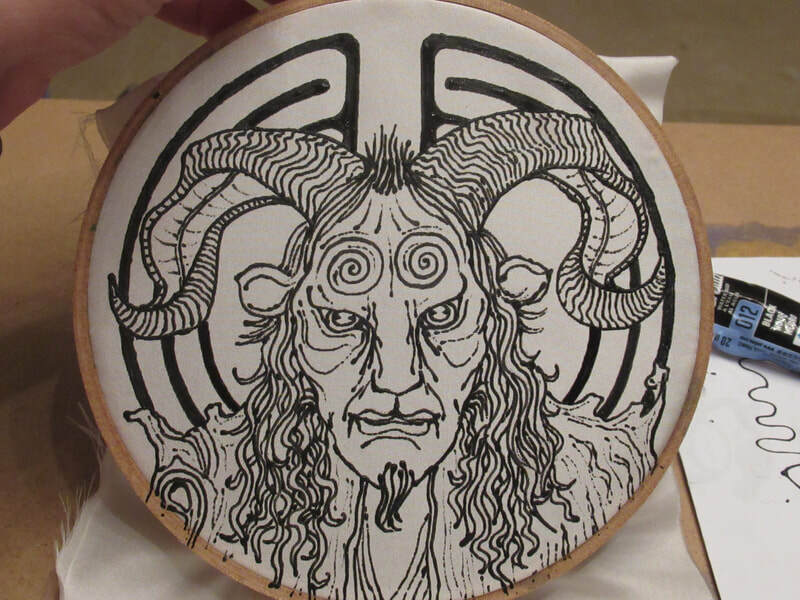 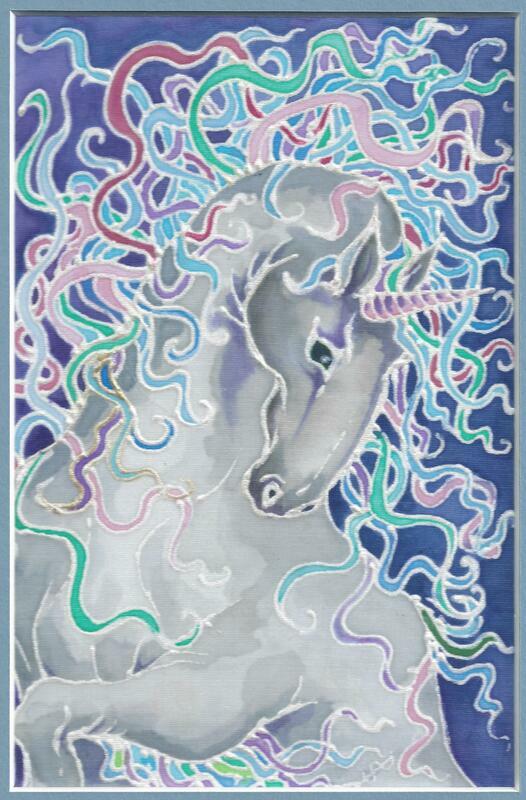 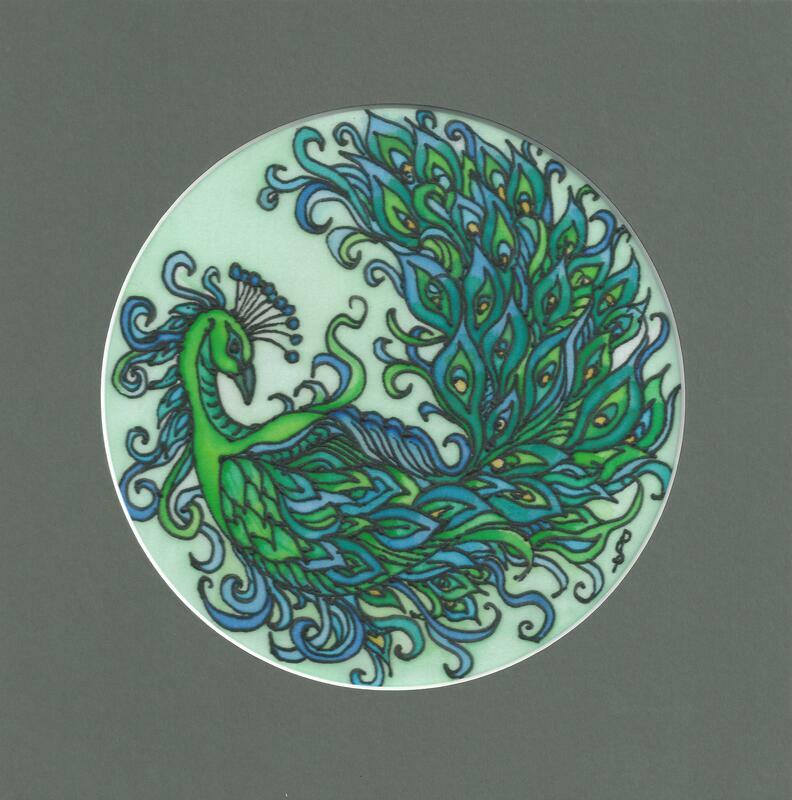 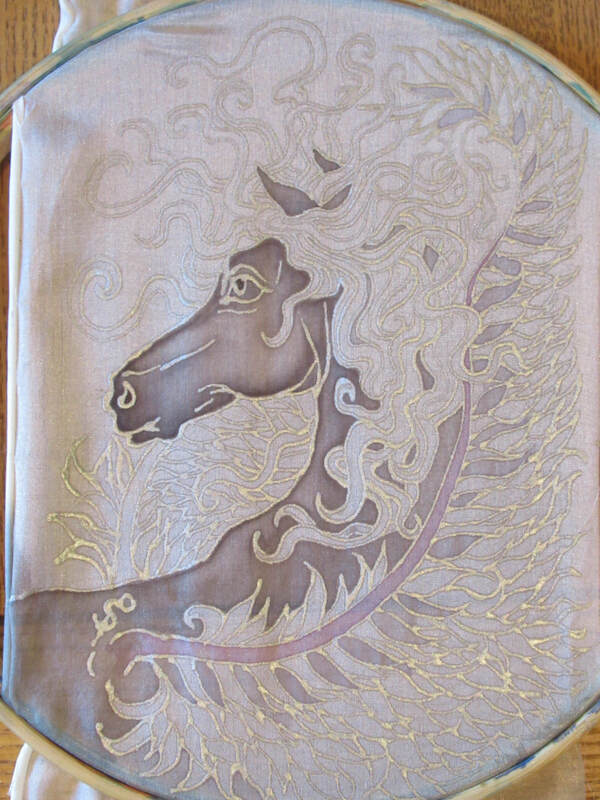 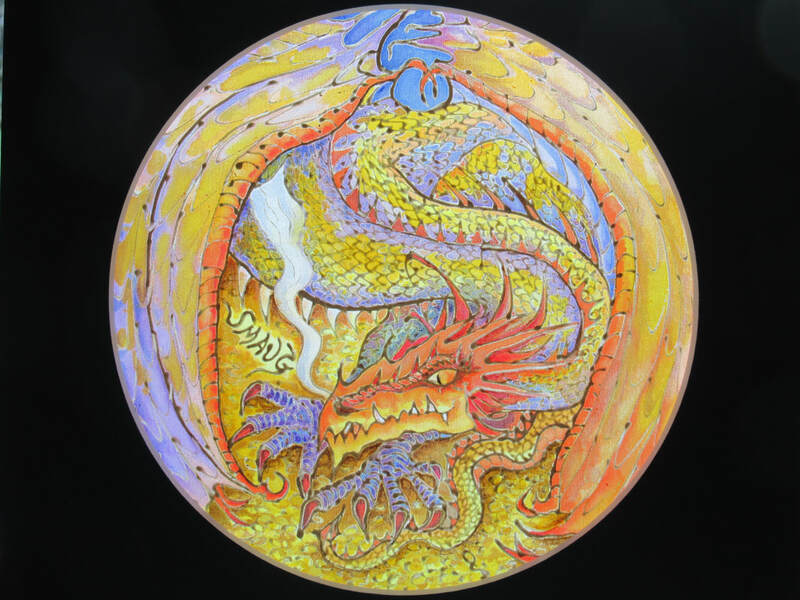 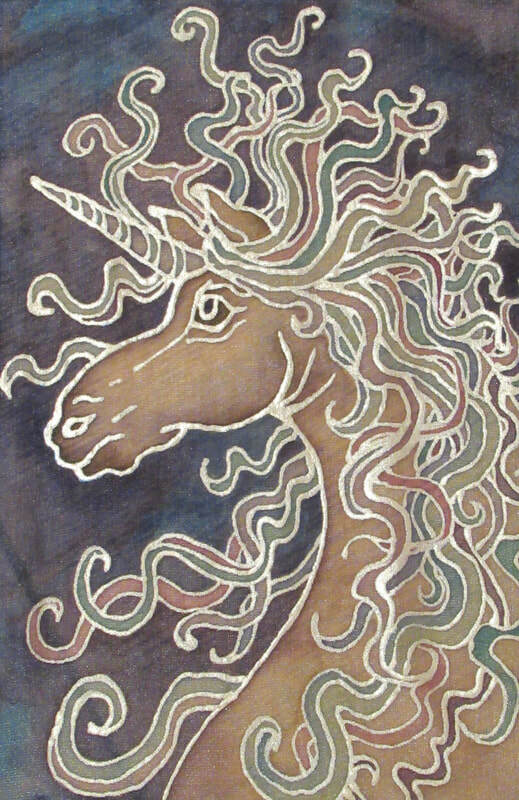 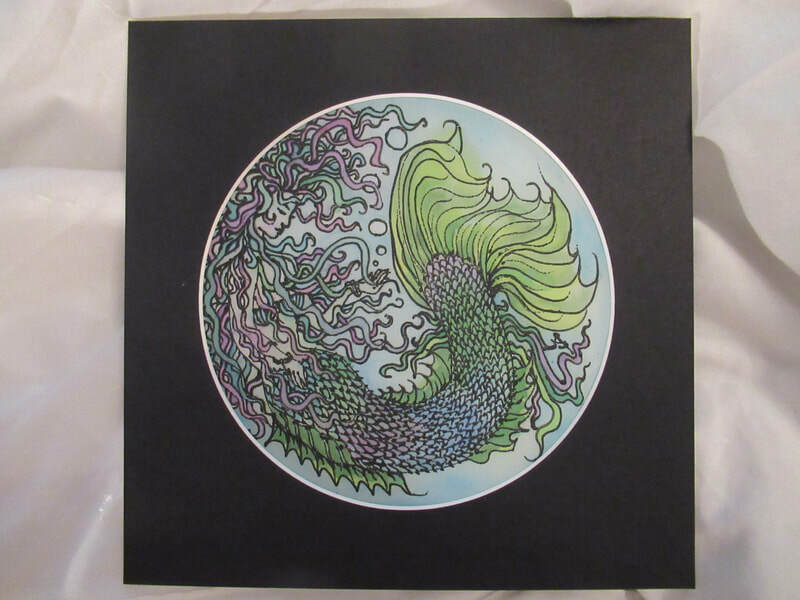 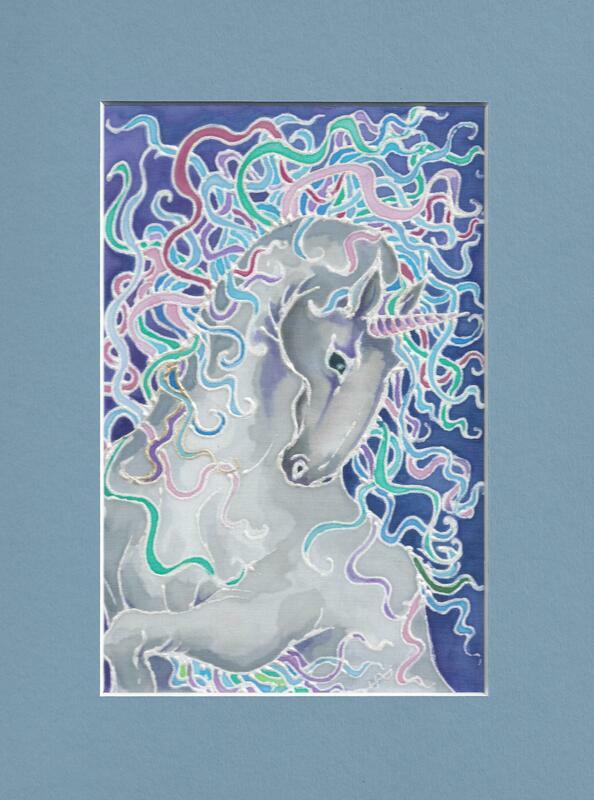 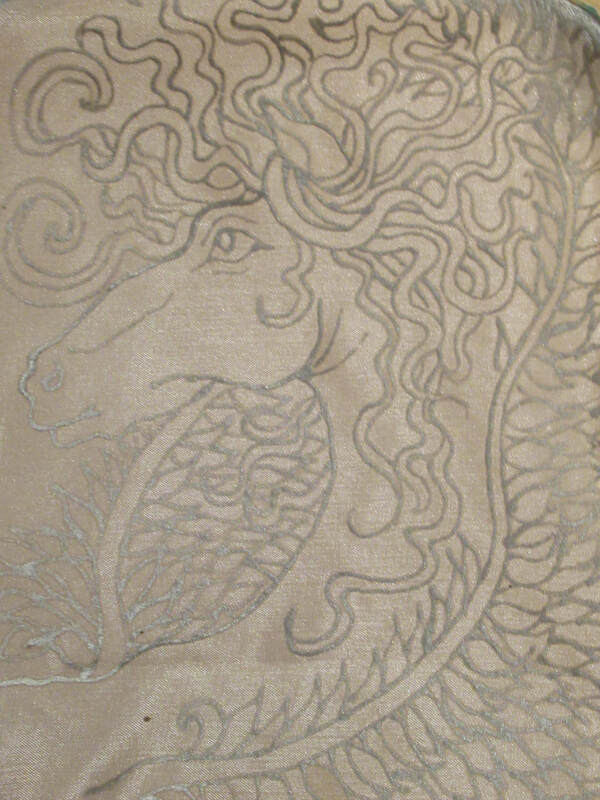 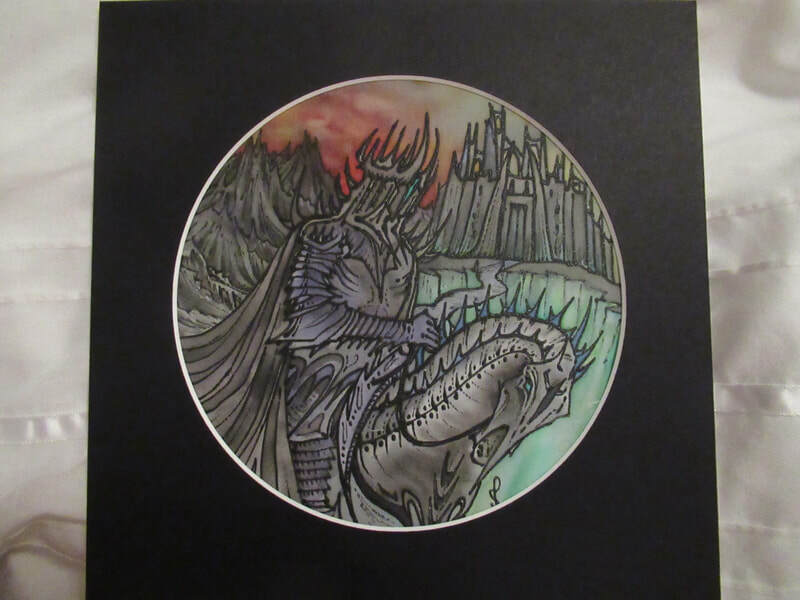 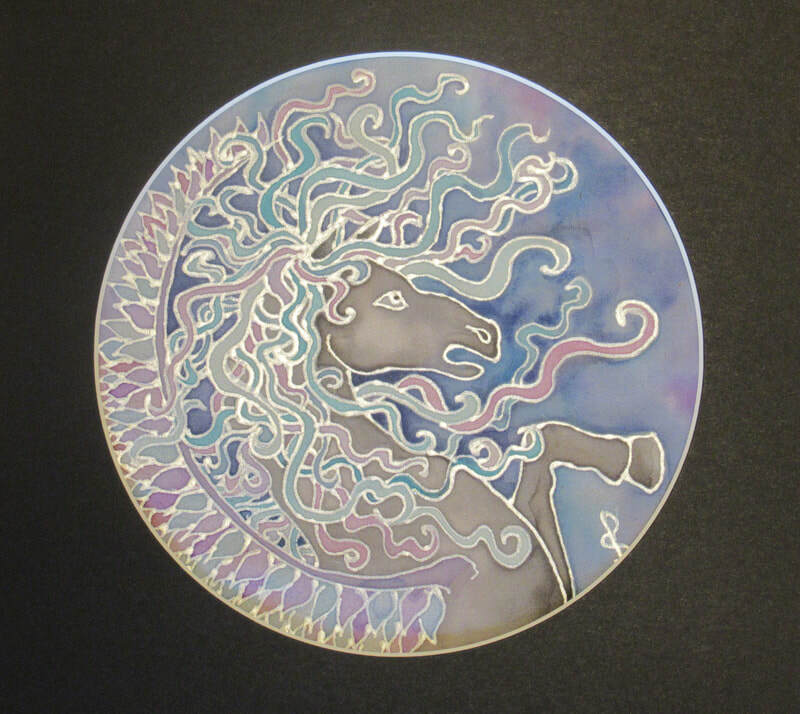 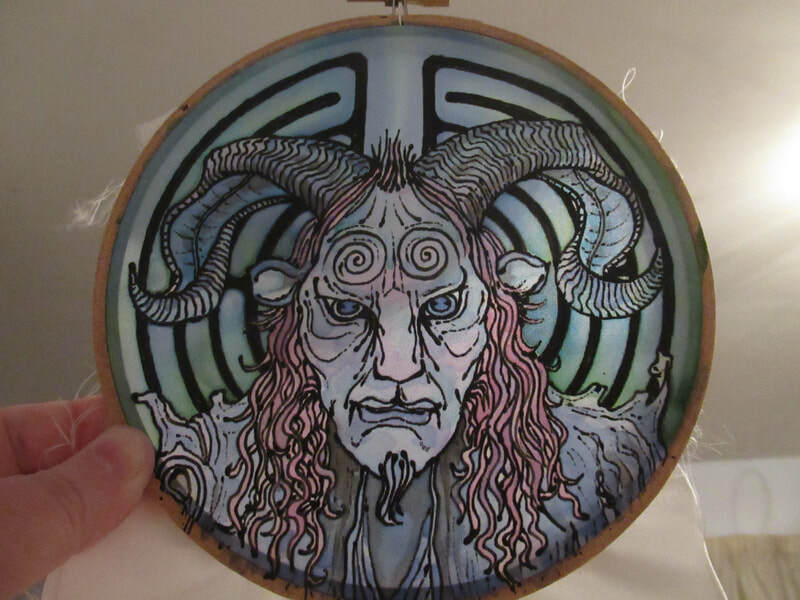 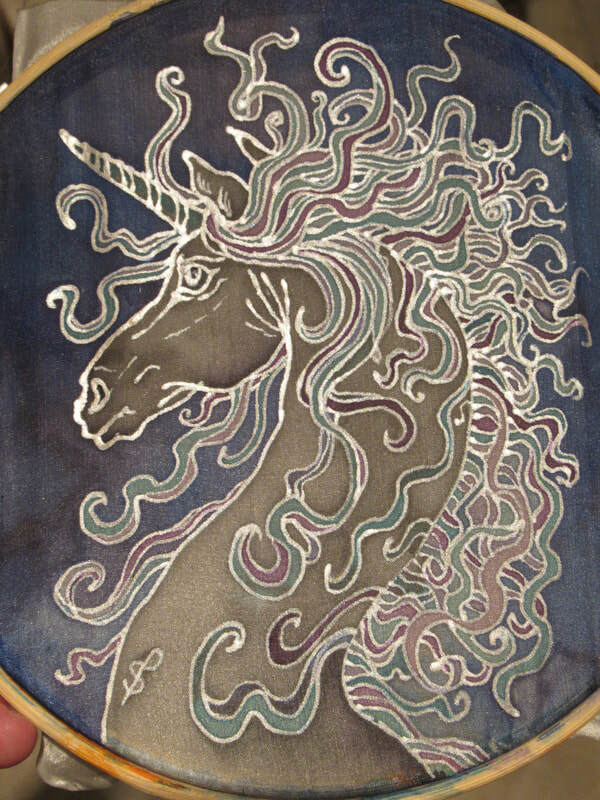 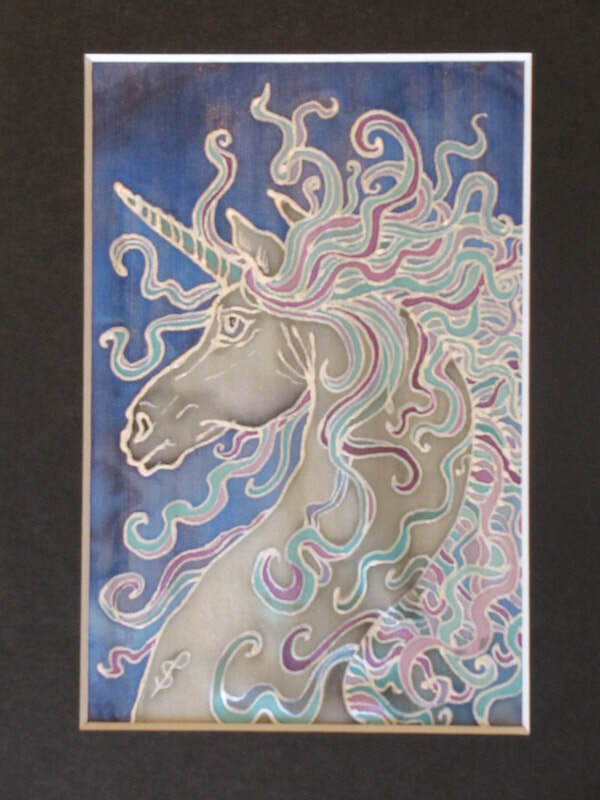 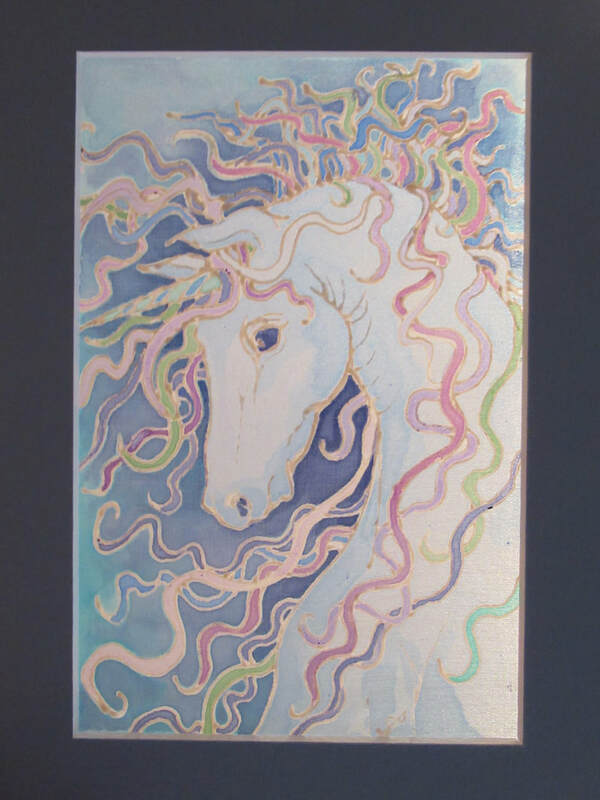 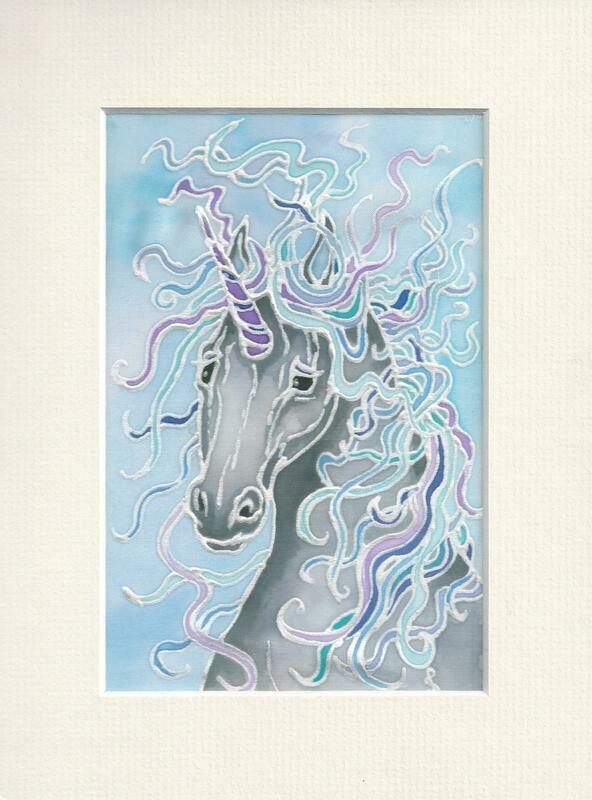 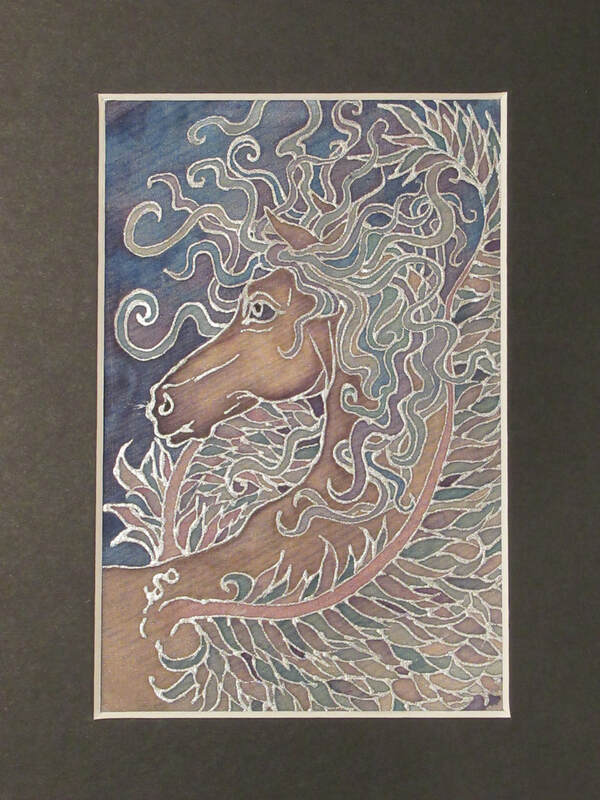 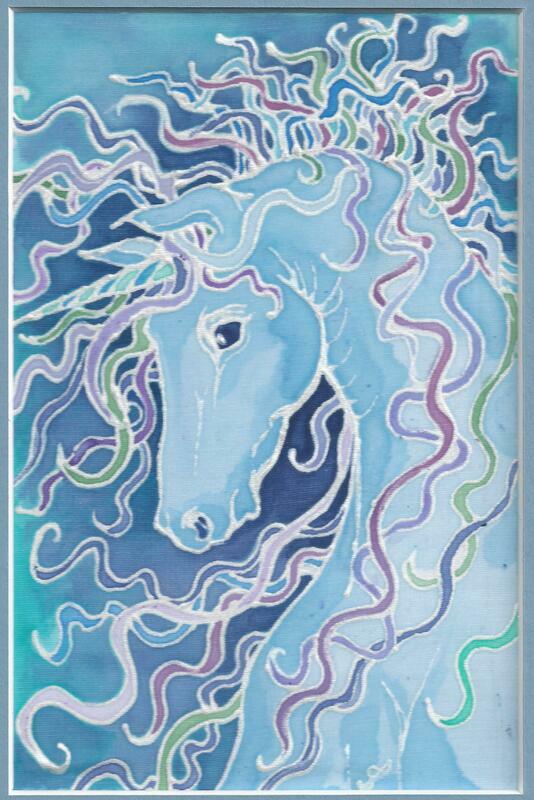 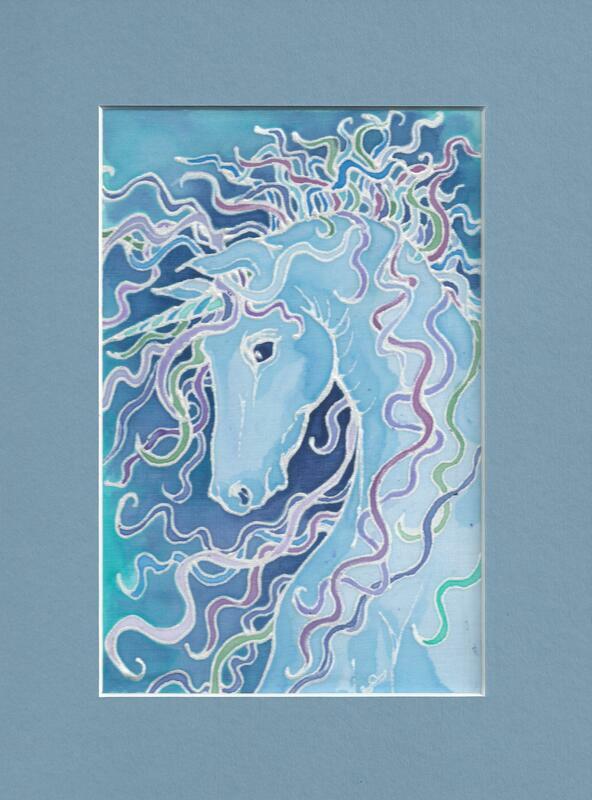 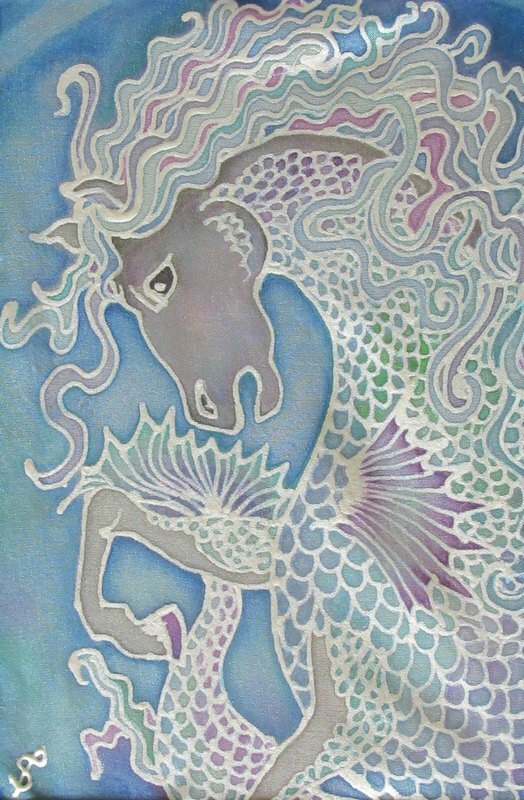 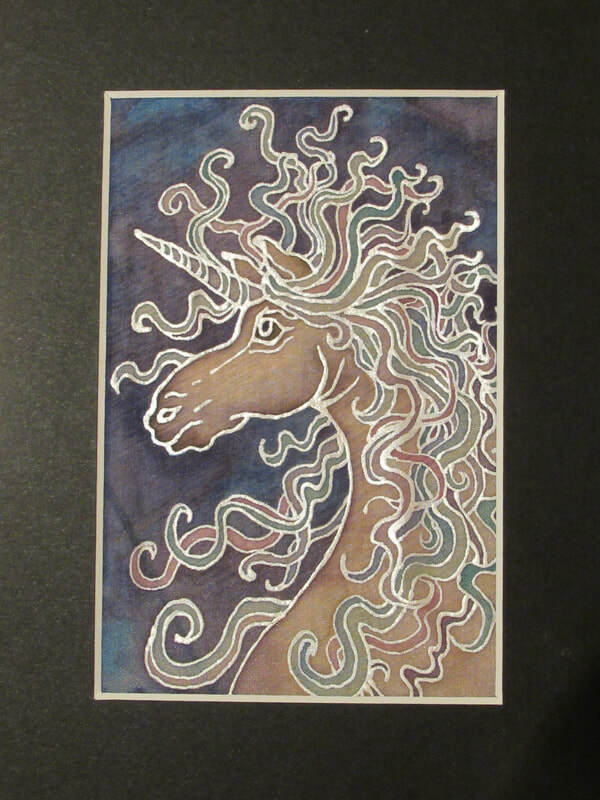 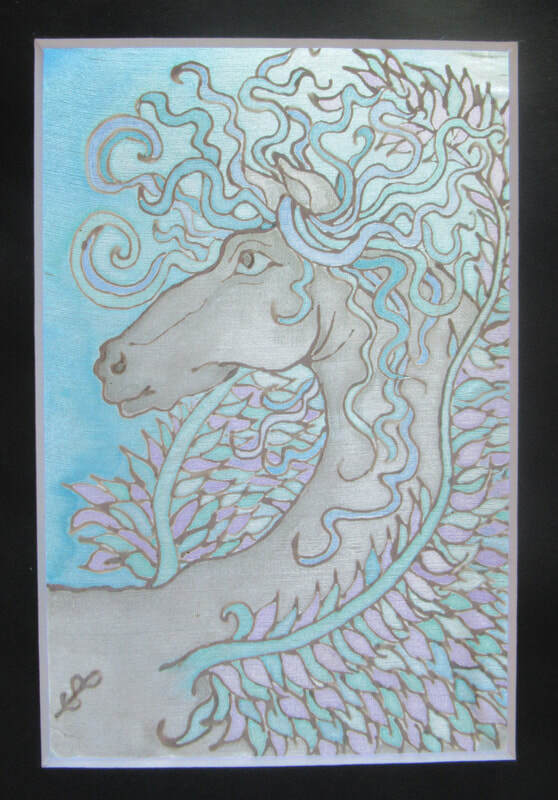 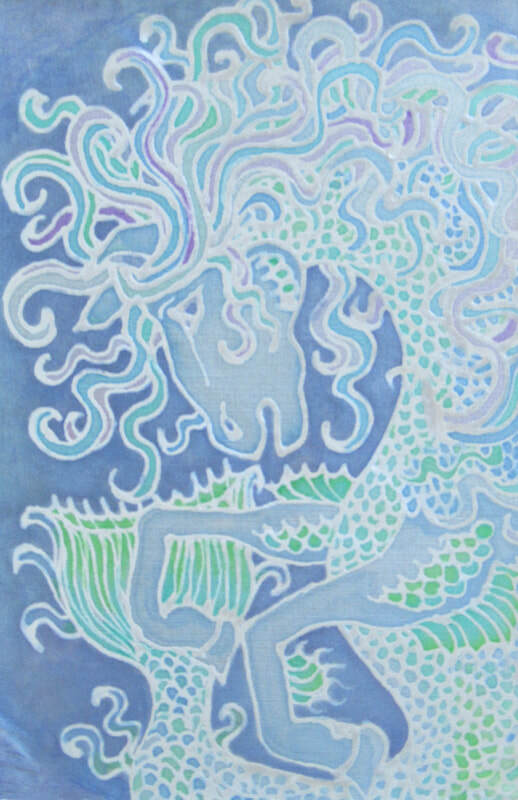 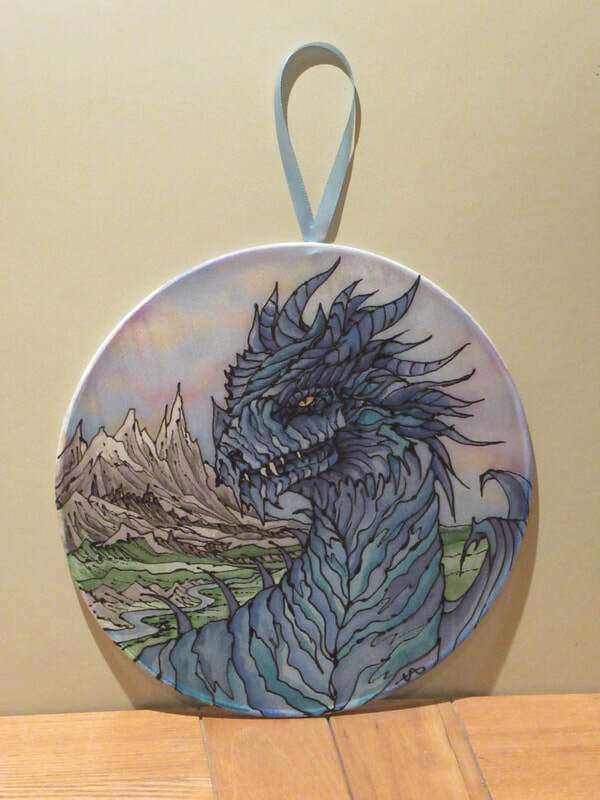 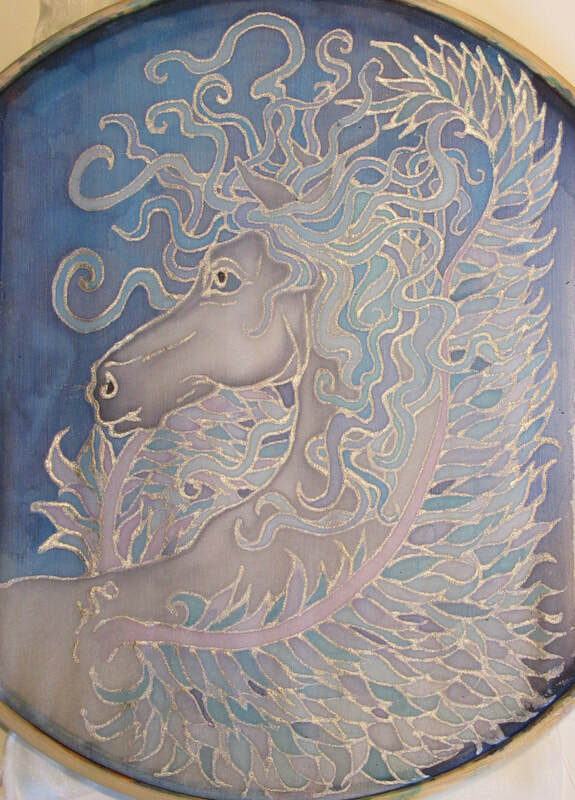 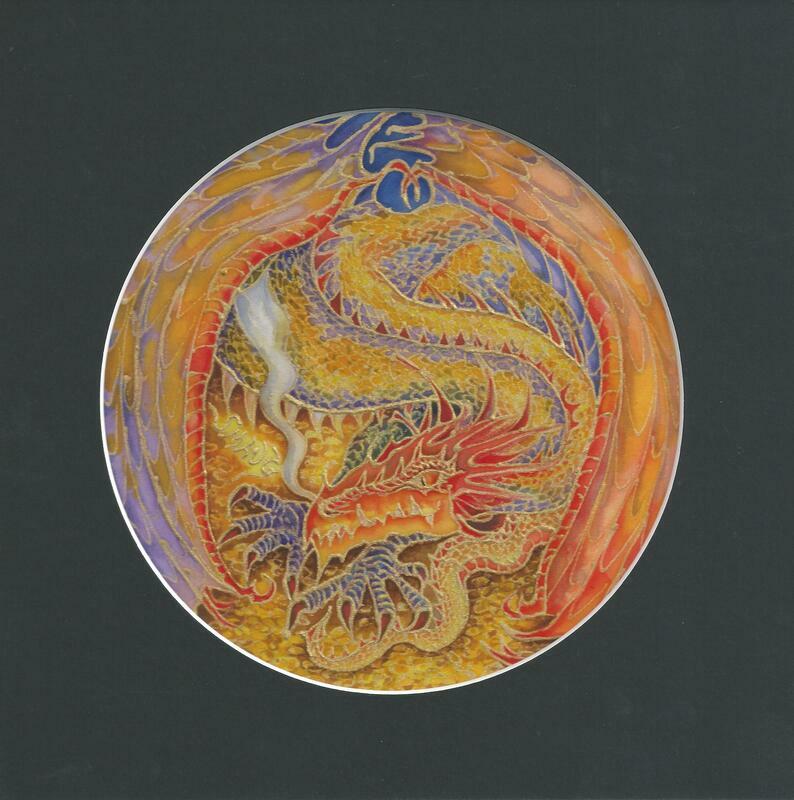 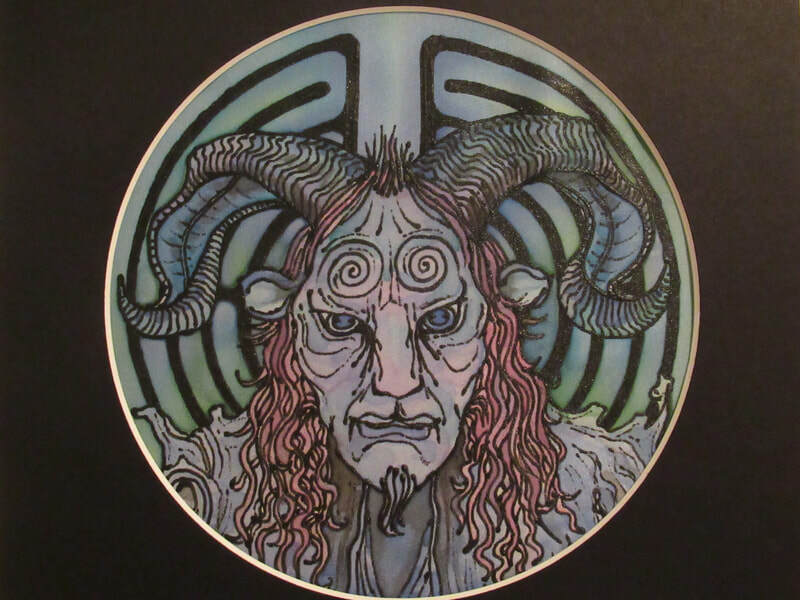 A series of silk paintings based on mythological creatures (Pegasus, hippocampus, dragons, mermaids, unicorns etc), fantasy novels such as JRR Tolkien's 'The Lord of the Rings', and films such 'Pan's Labyrinth', 'Alien' etc. 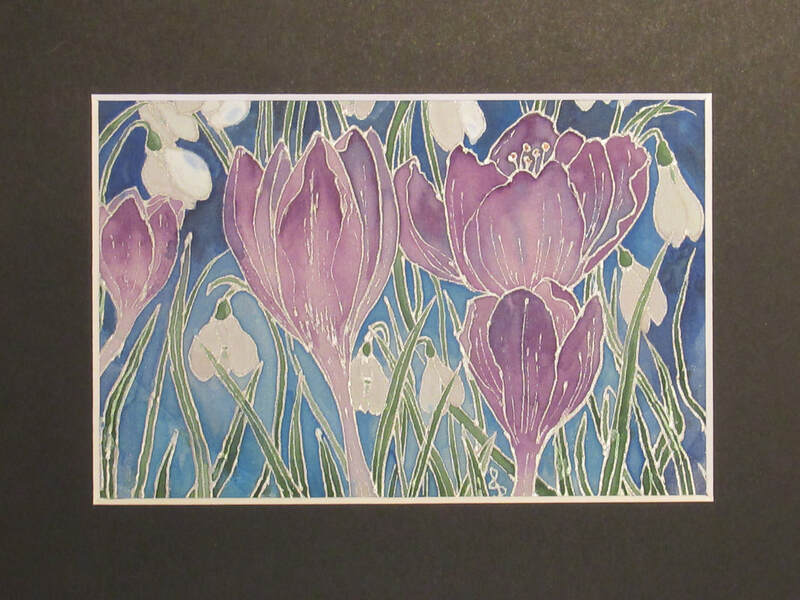 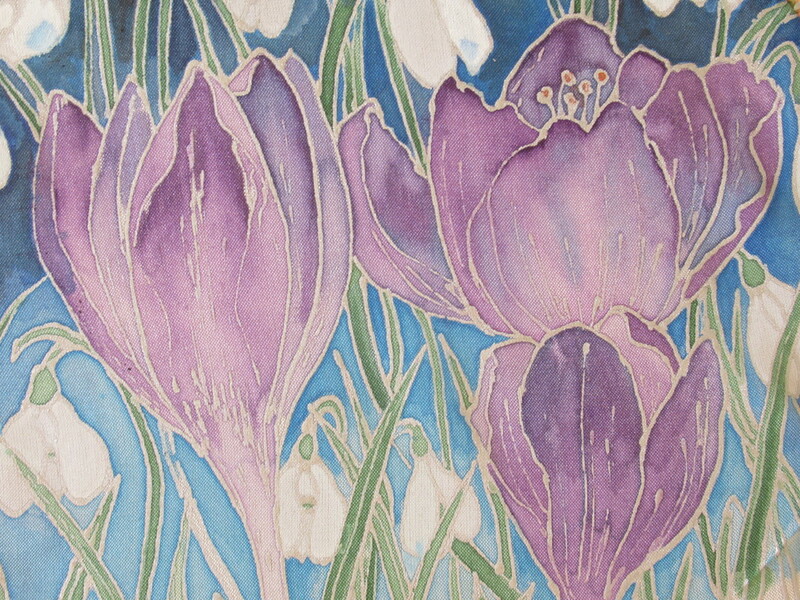 A series of silk paintings inspired by both my favourite flowers and flowers in my garden that I have photographed, sketched and then created original silk paintings of.